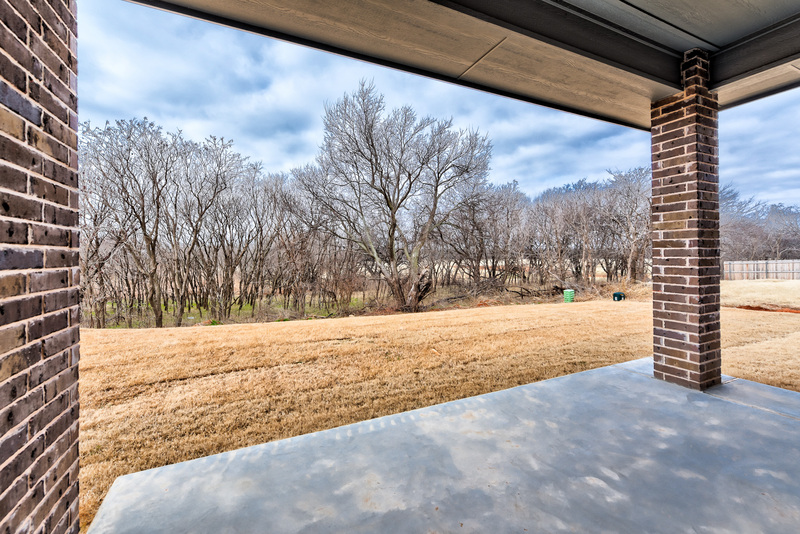 It backs up to a tree-lined greenbelt. 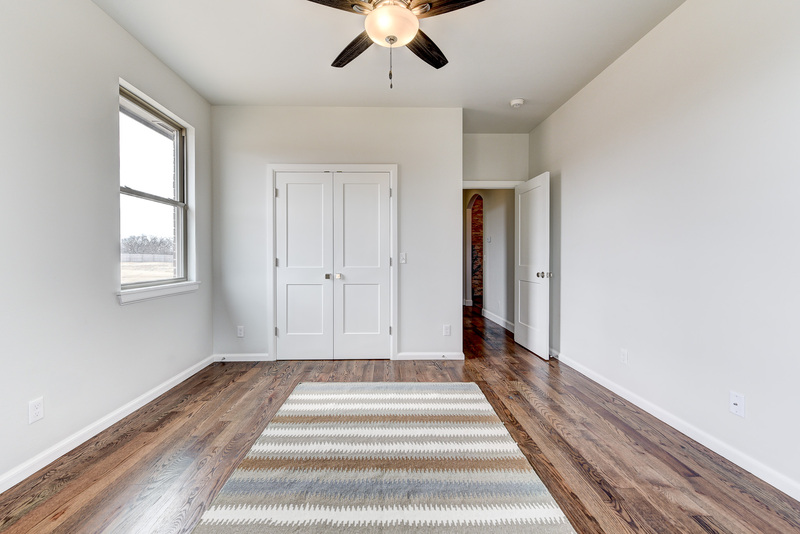 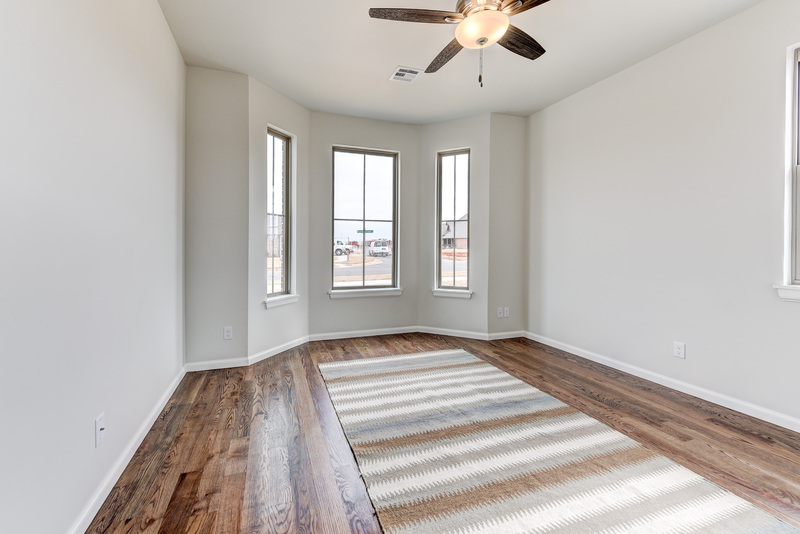 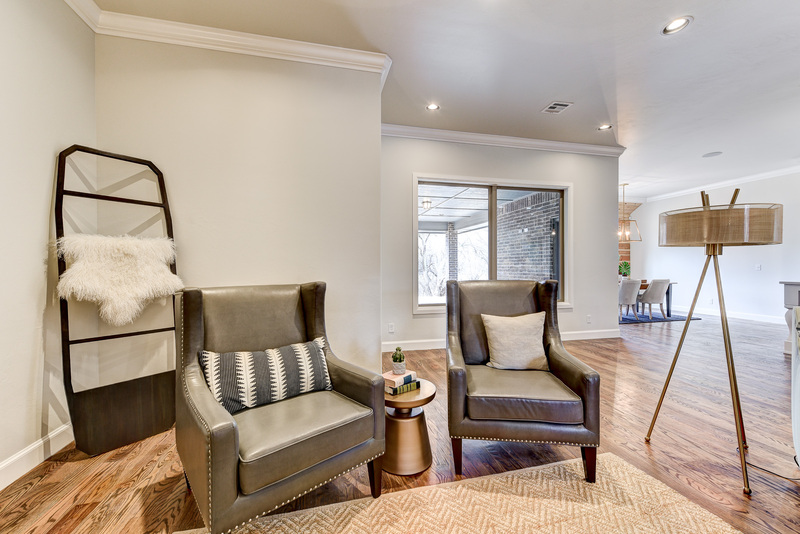 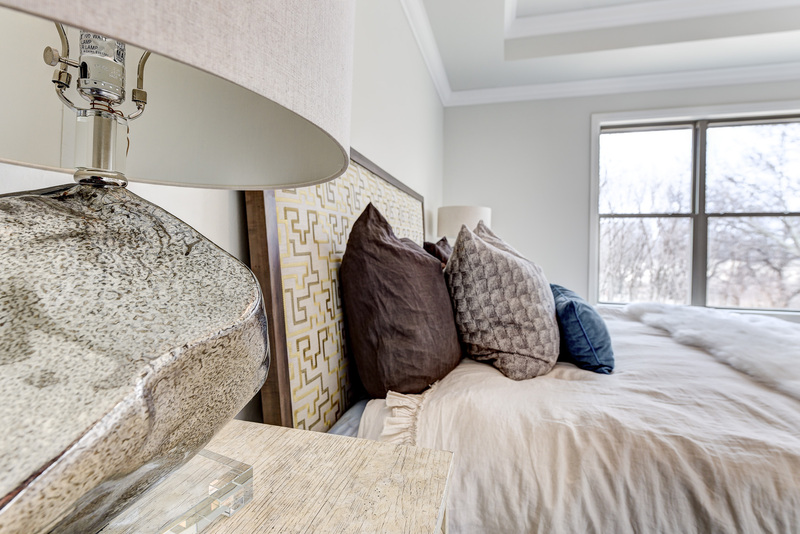 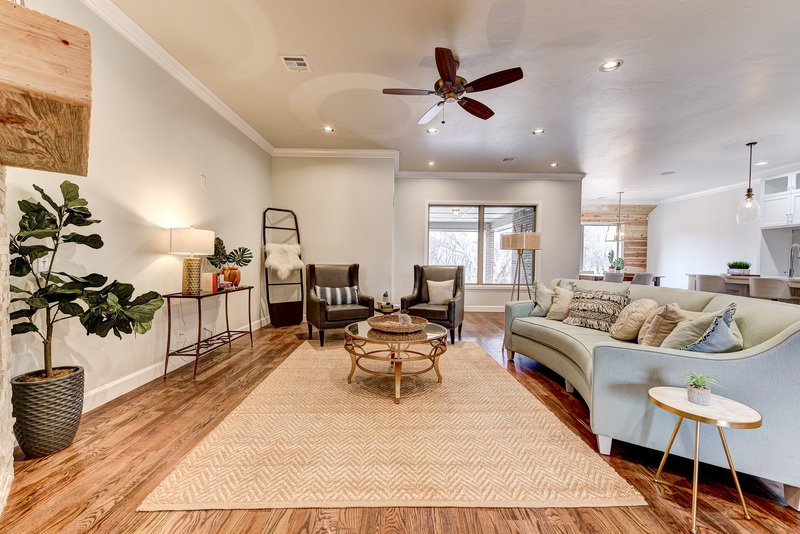 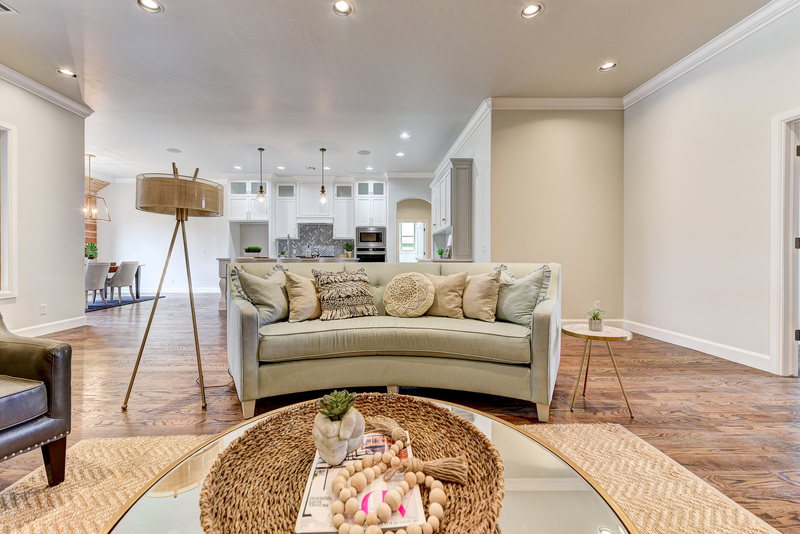 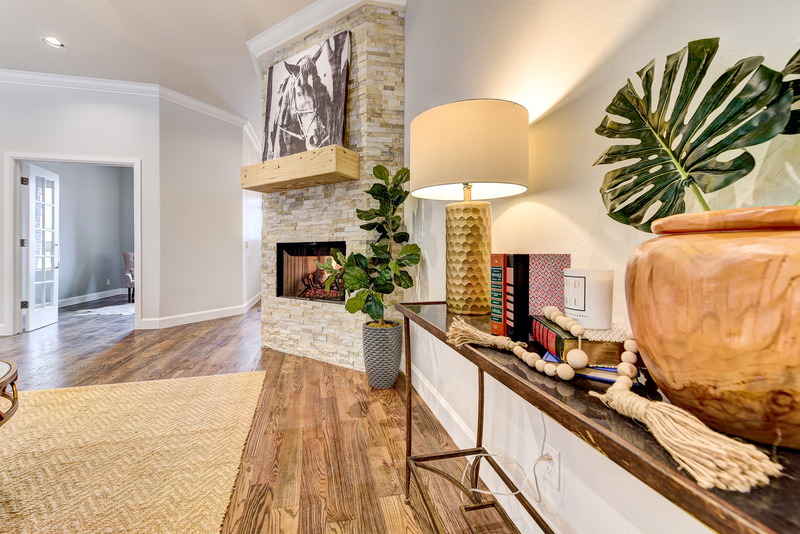 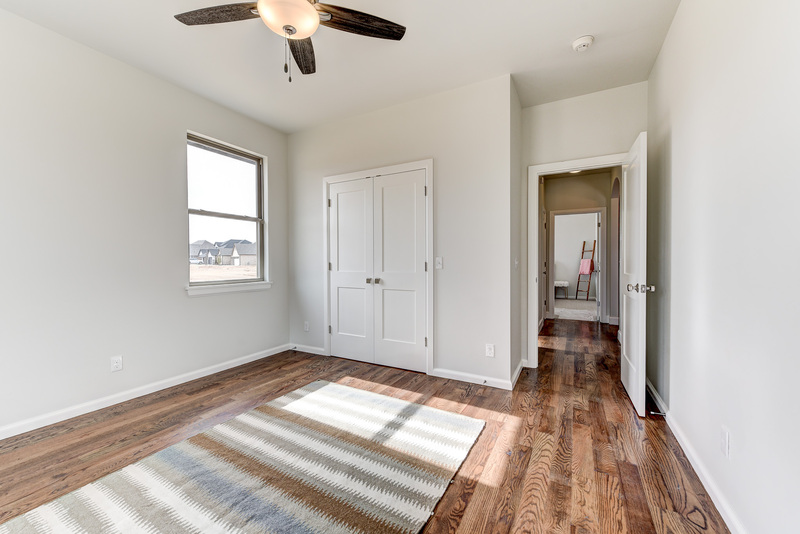 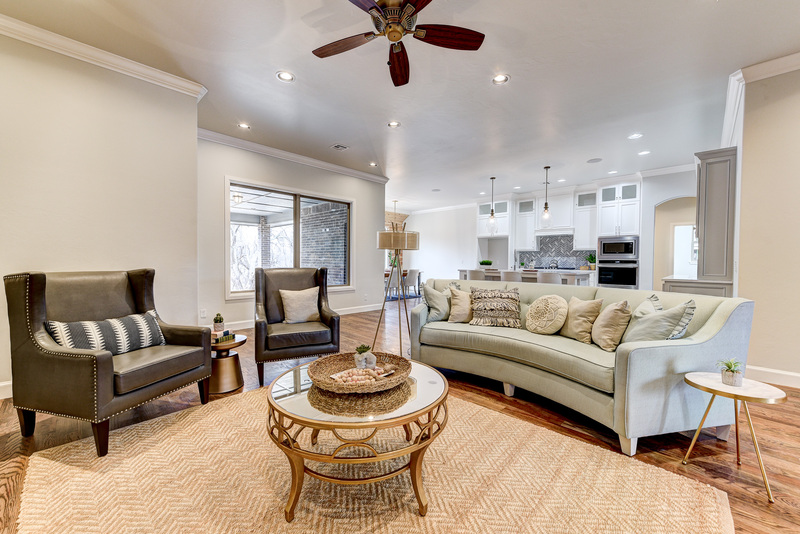 The Pollock floor plan is light-filled and open. 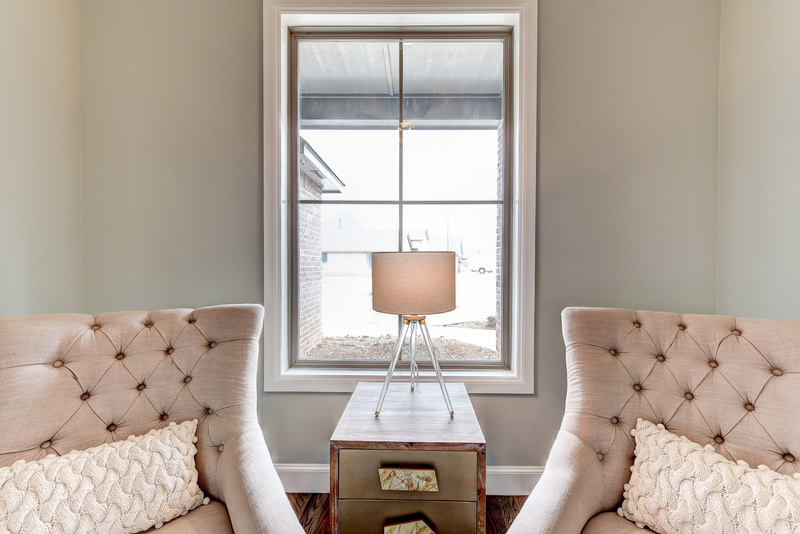 This home has a bay window added in the front. 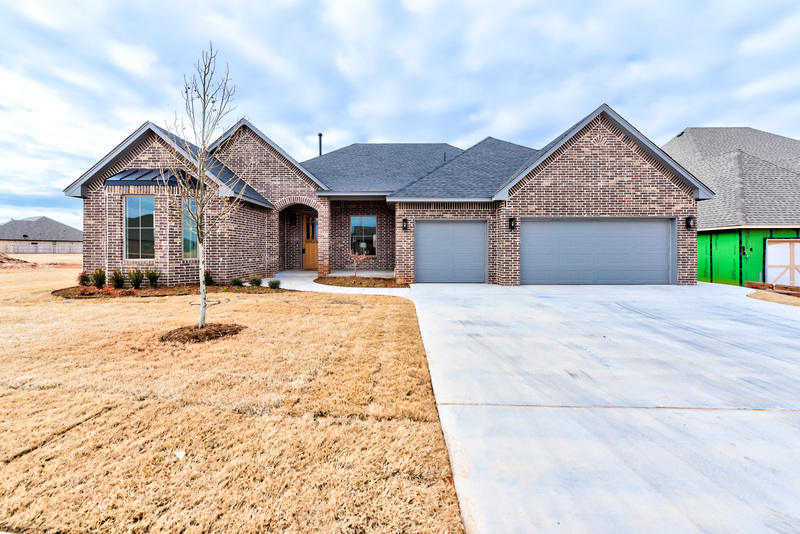 The home has 2,865 square feet MOL. 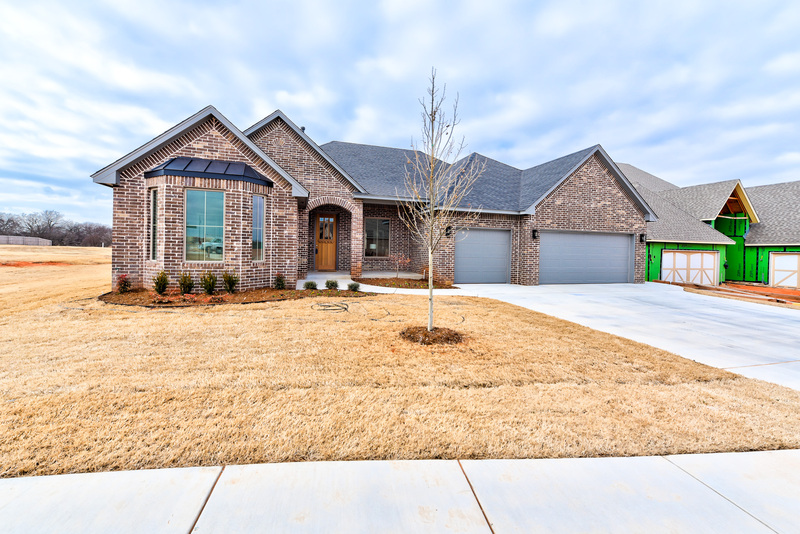 4 bedrooms, 3 baths, a large mudroom bench, and 3-car garage. 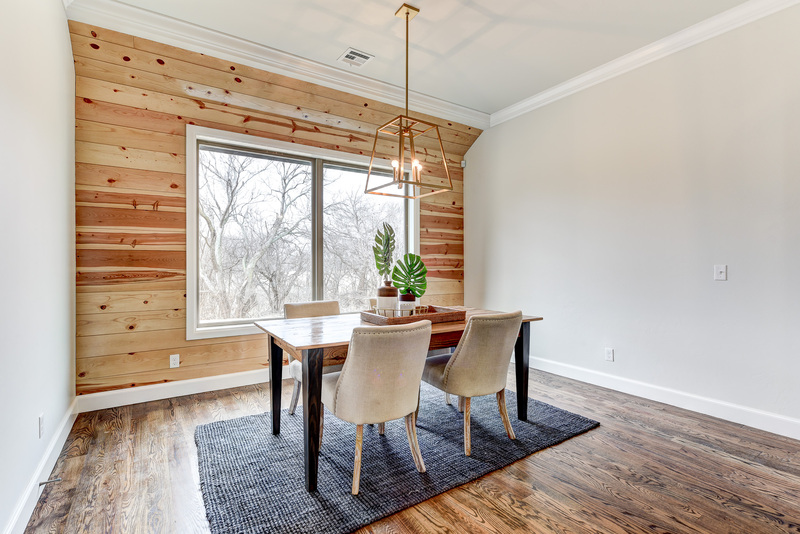 Wood floors throughout the living room, study, and kitchen. 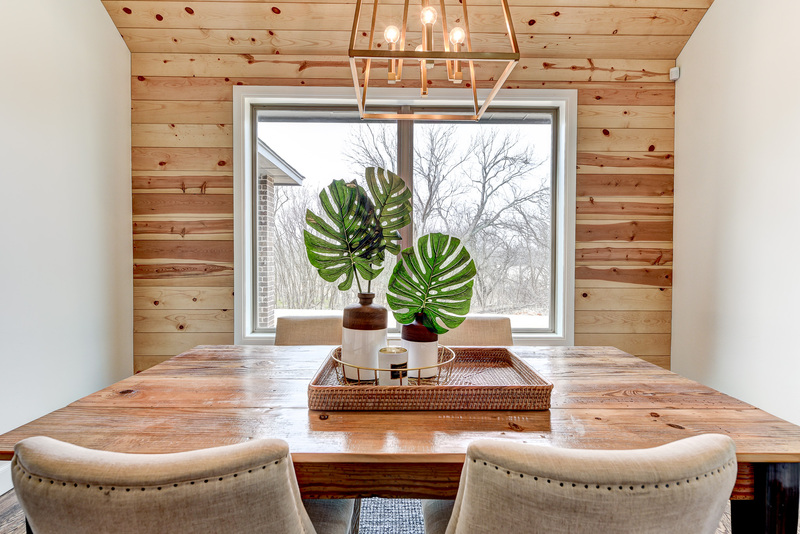 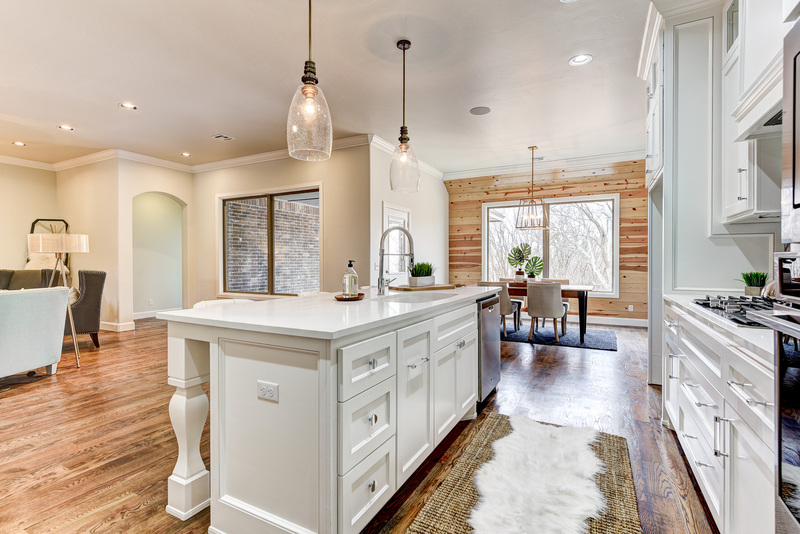 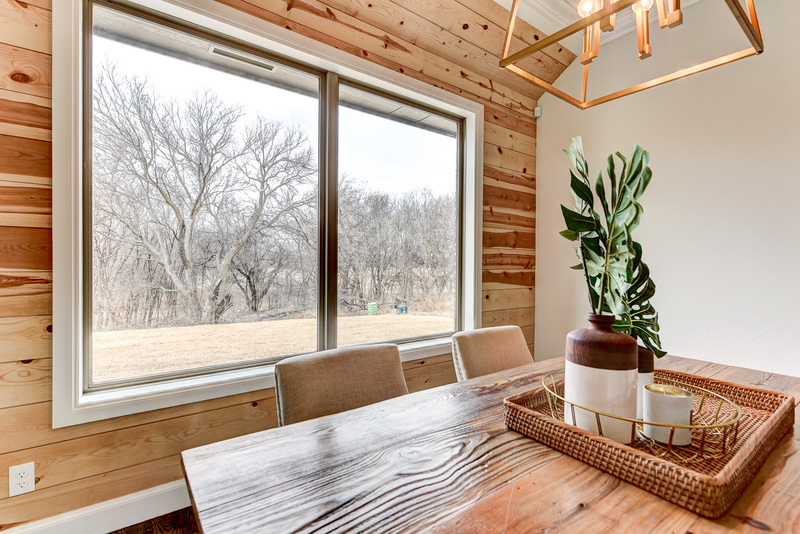 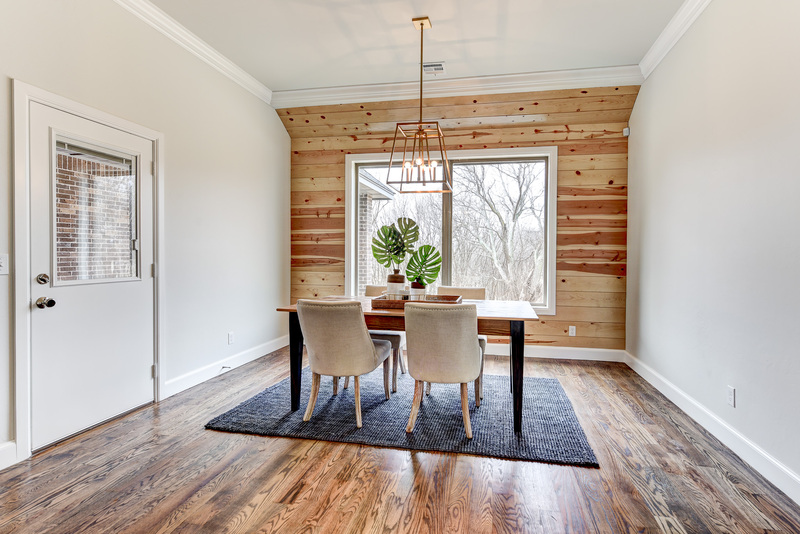 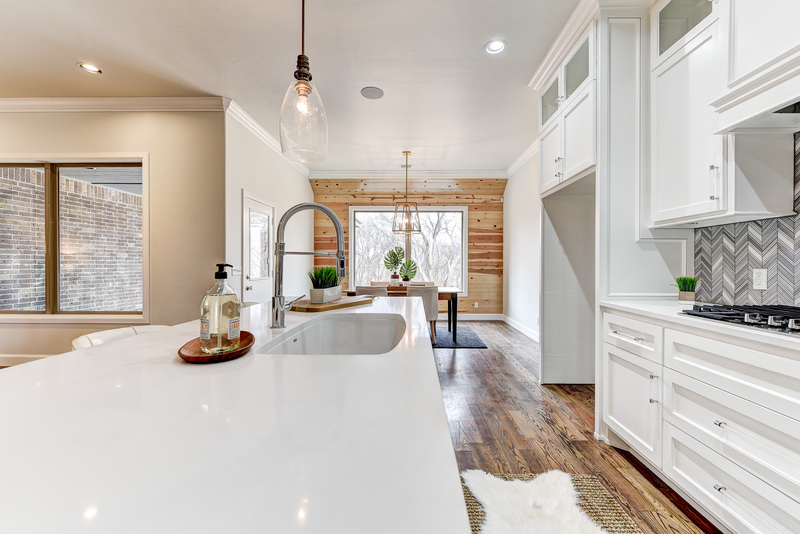 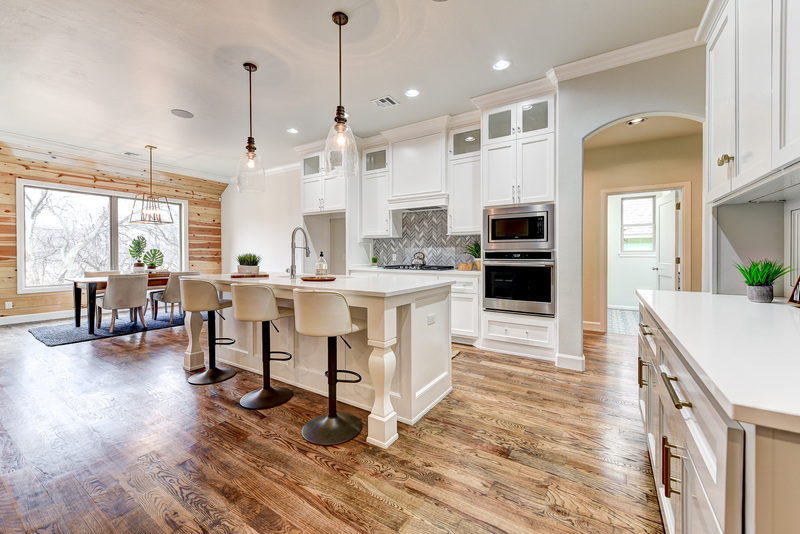 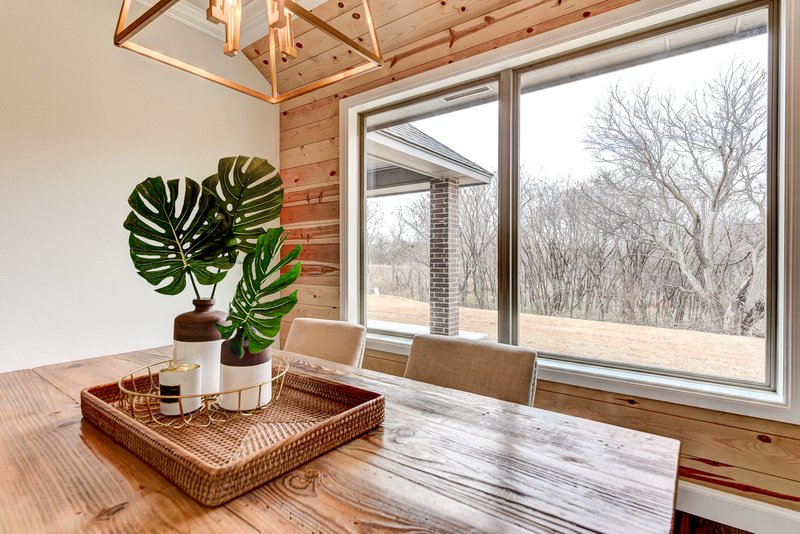 Gorgeous wall of natural wood shiplap in the dining area. 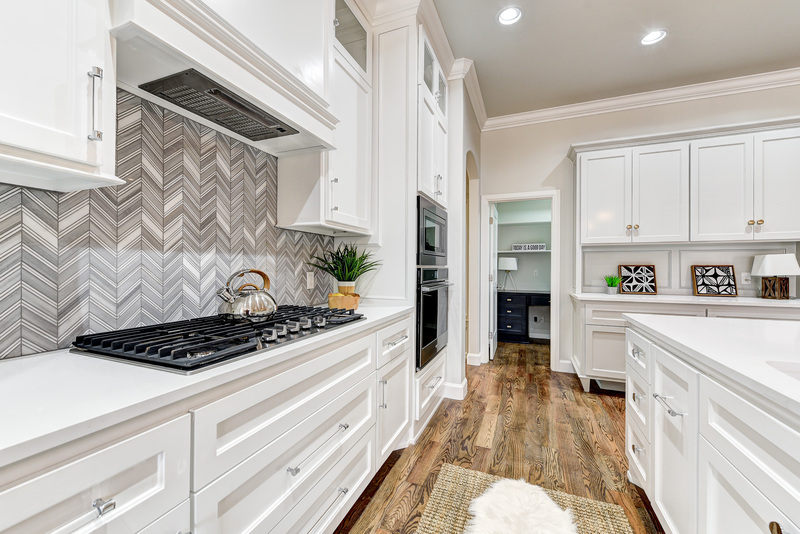 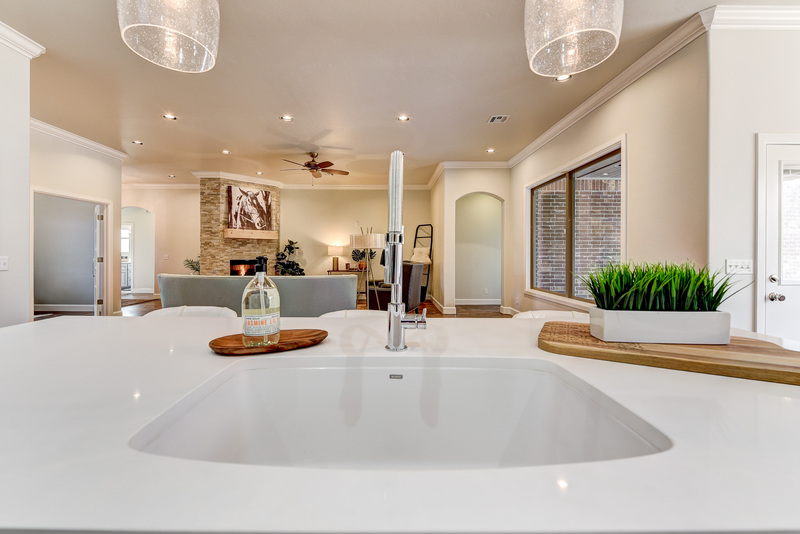 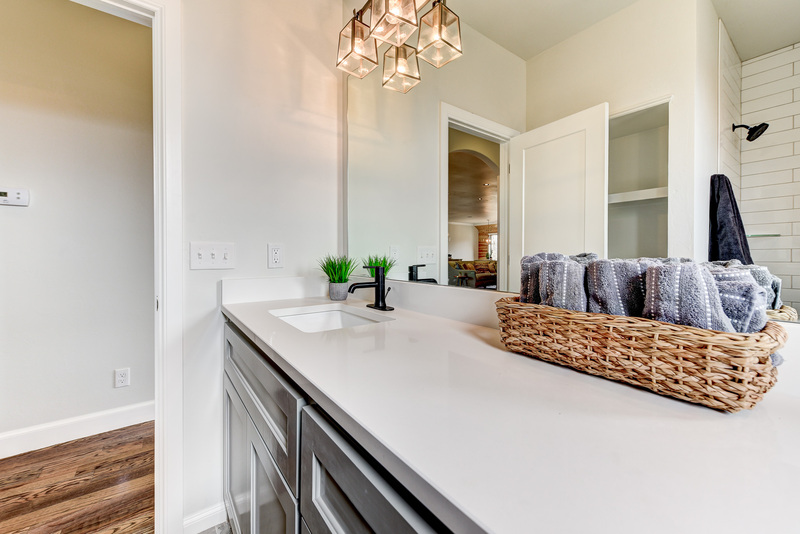 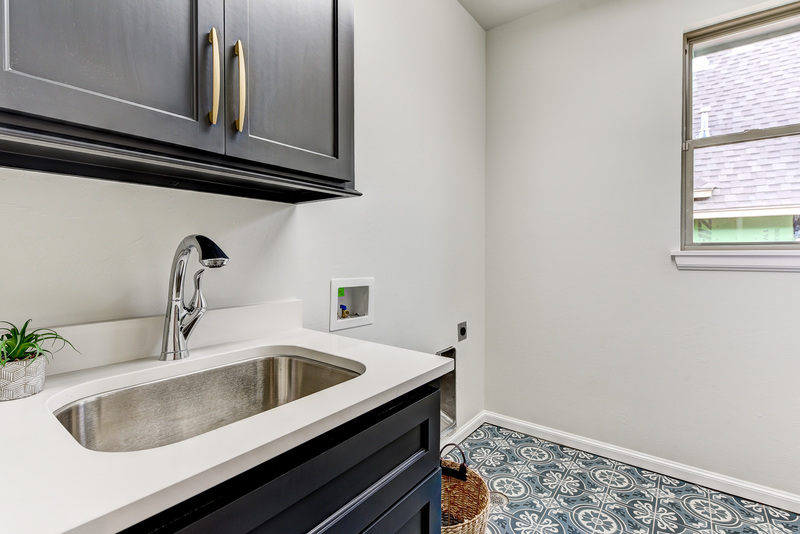 Custom quartz countertops and tile throughout the kitchen, bathrooms and utility room. 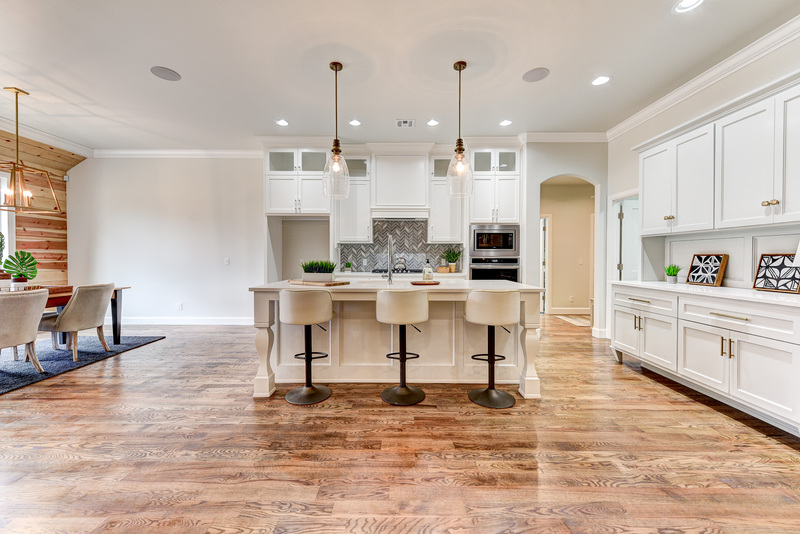 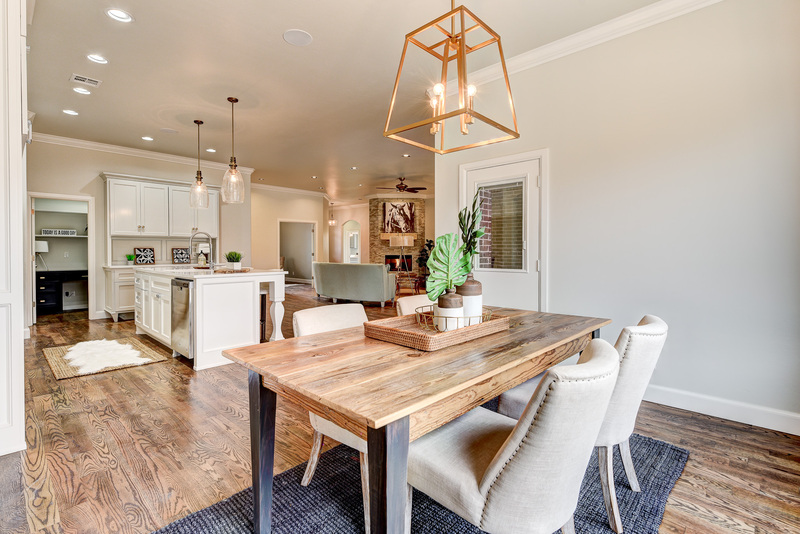 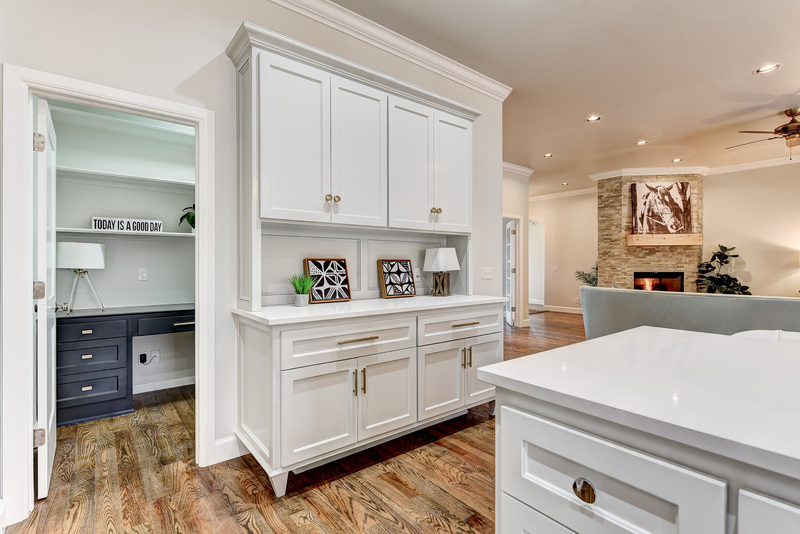 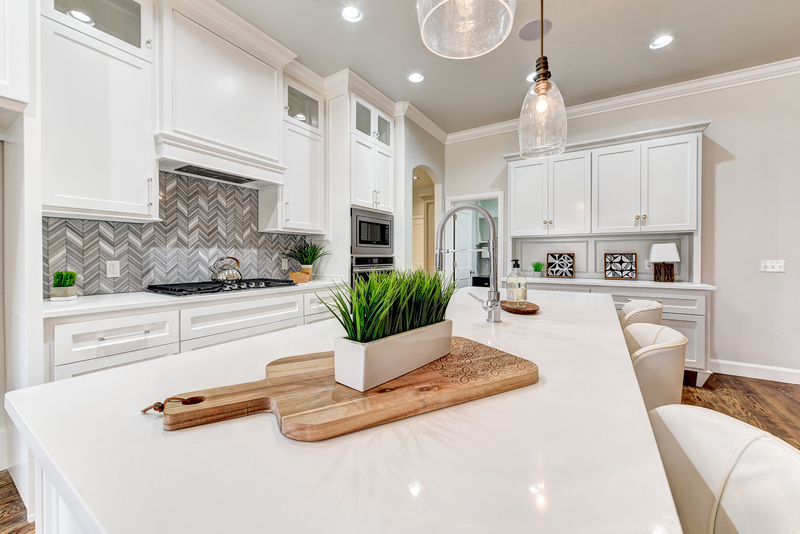 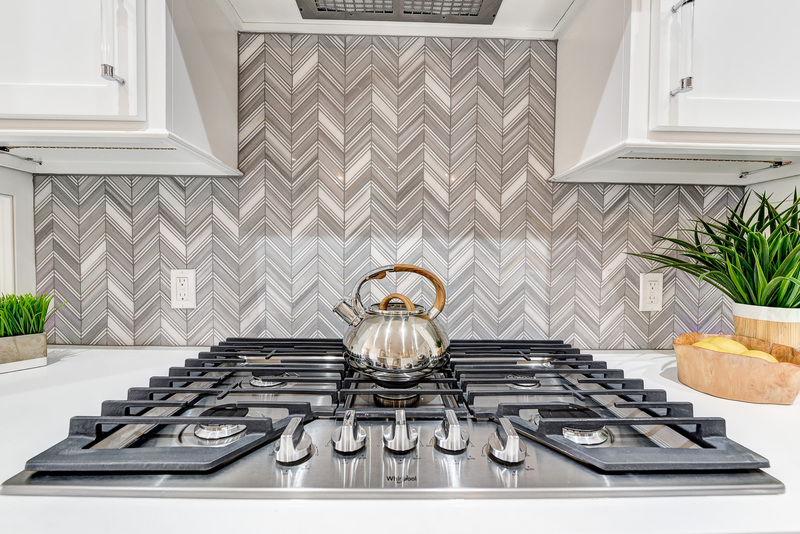 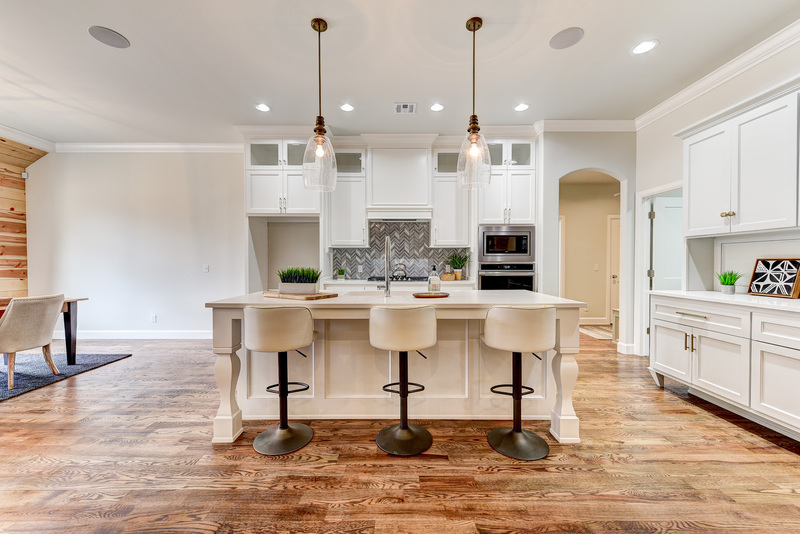 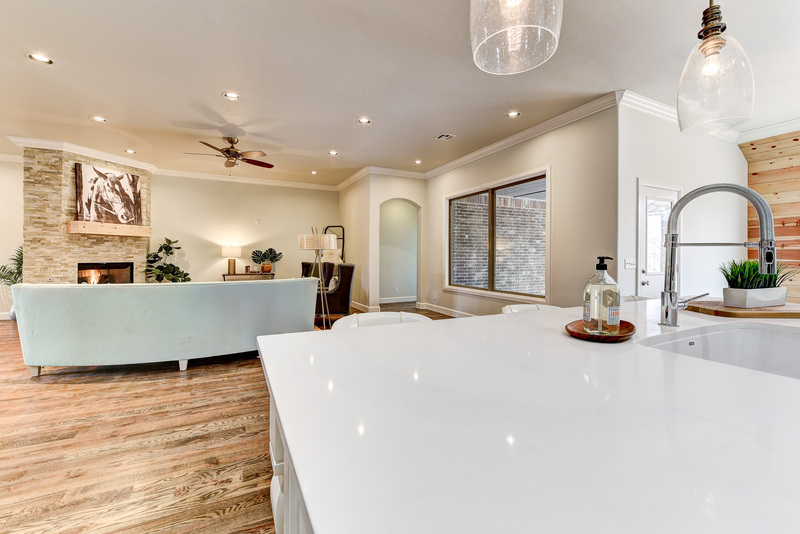 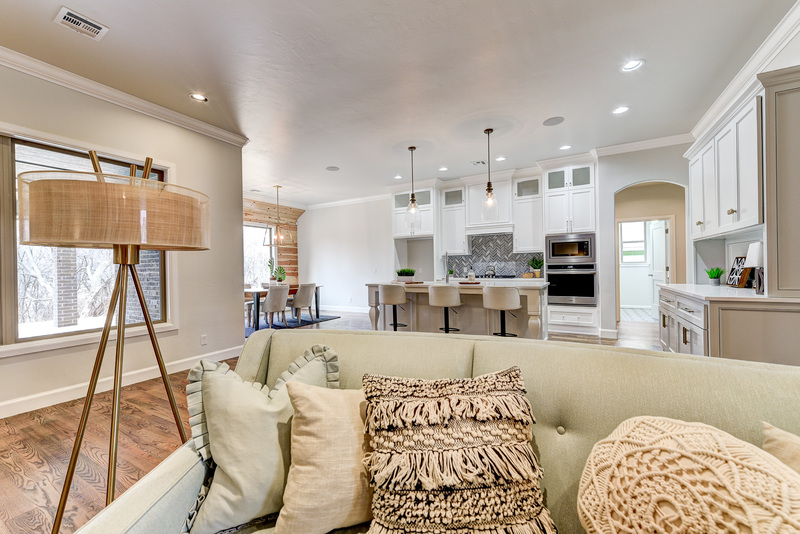 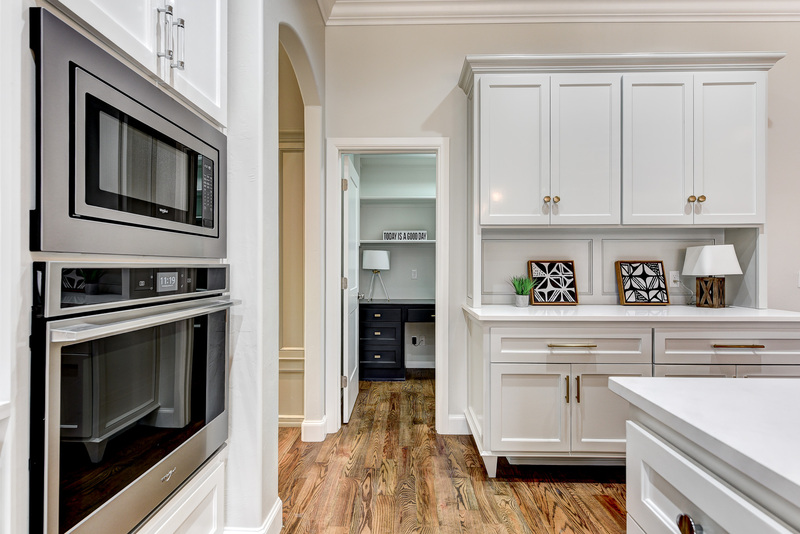 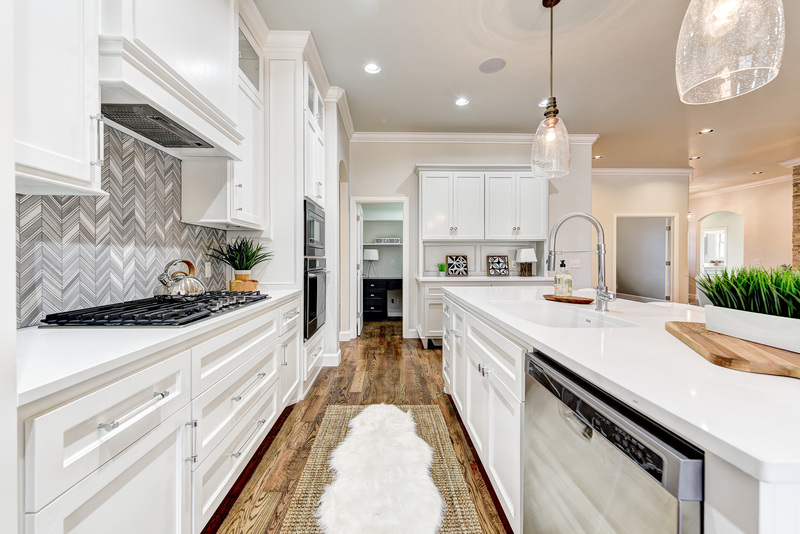 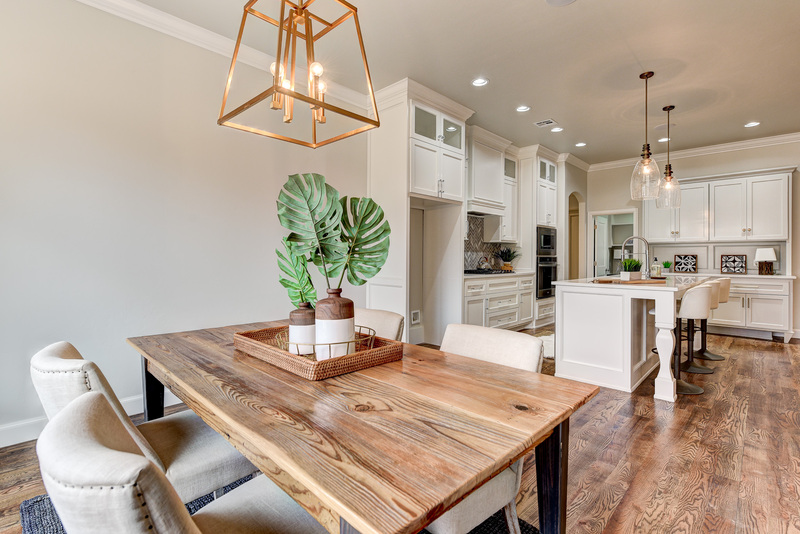 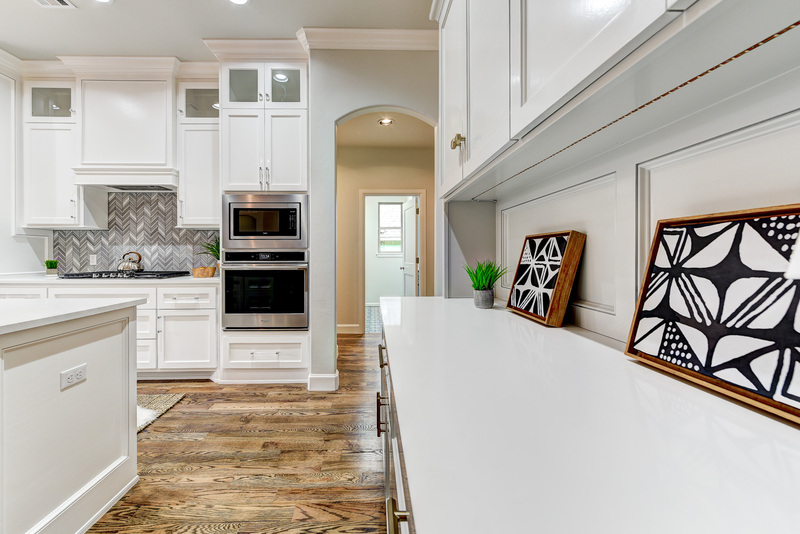 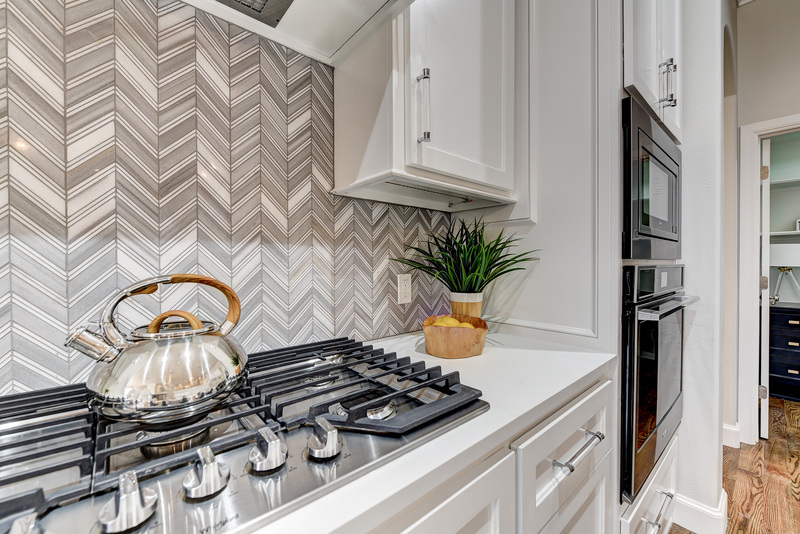 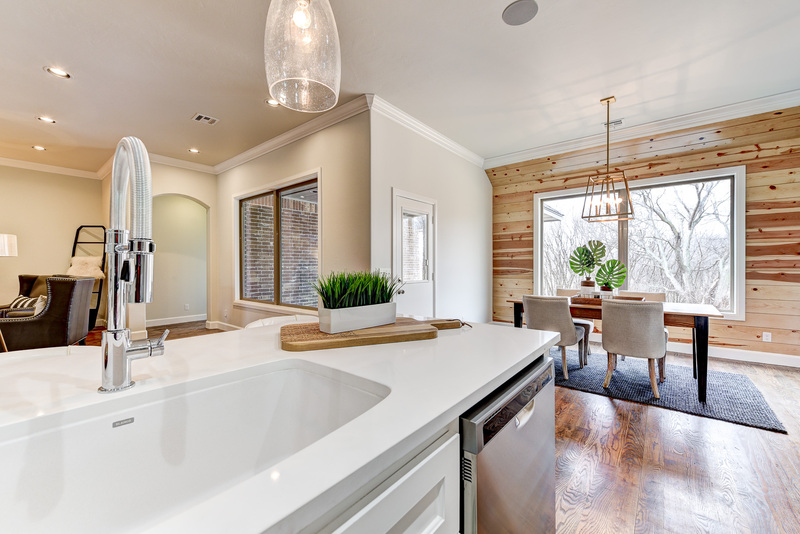 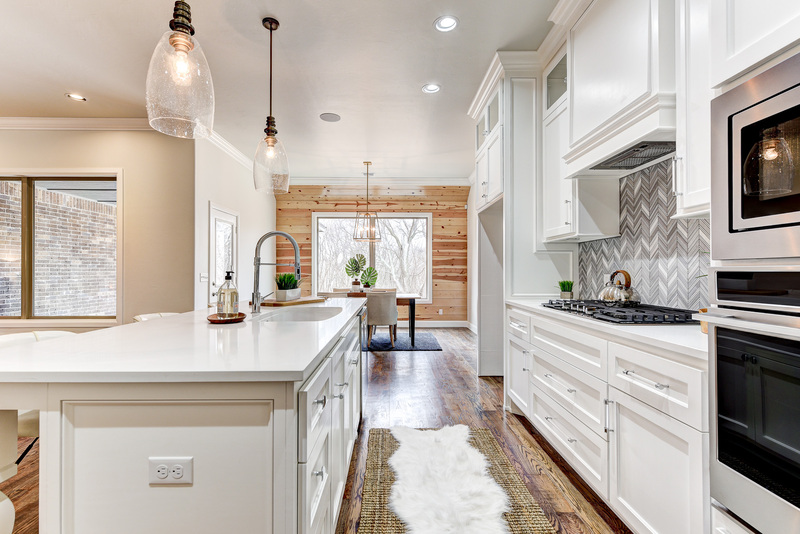 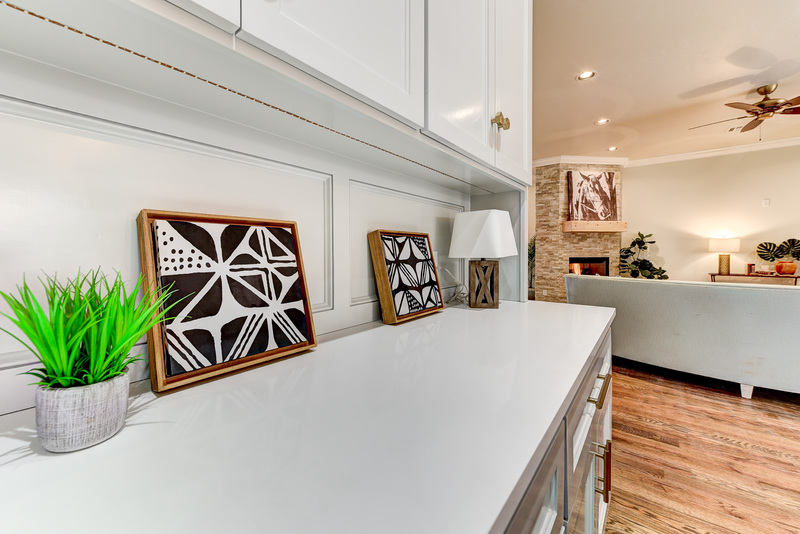 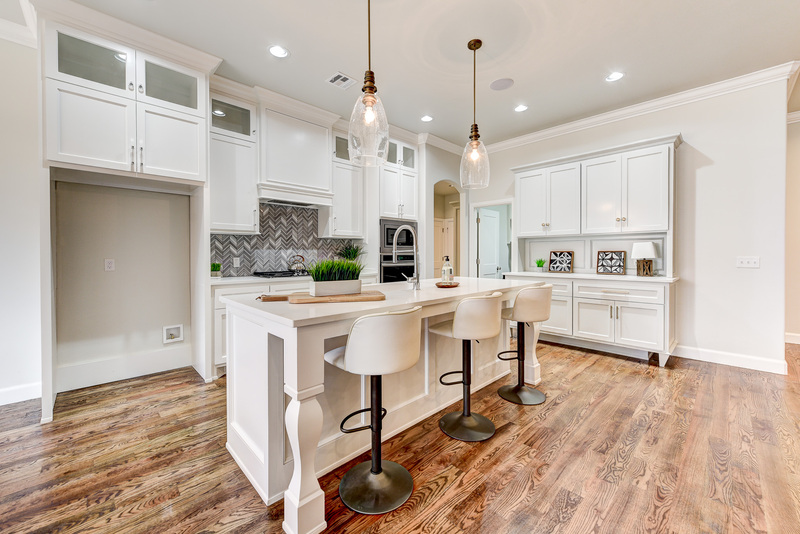 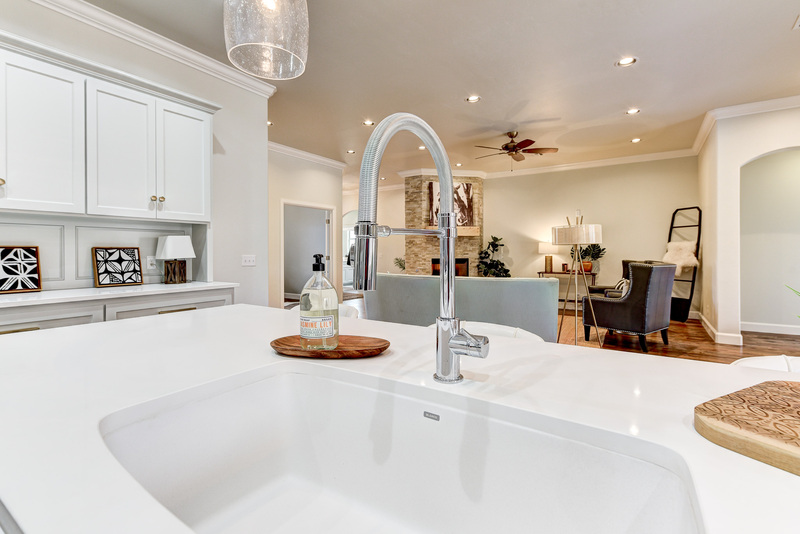 Stainless steel appliances, satin brass hardware, and light fixtures will impress your guests while sitting at the center island in the kitchen. 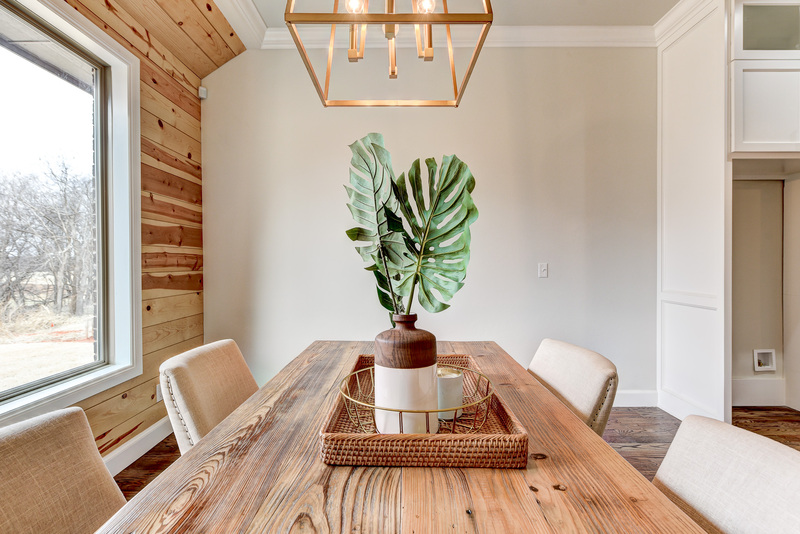 Brass is back. 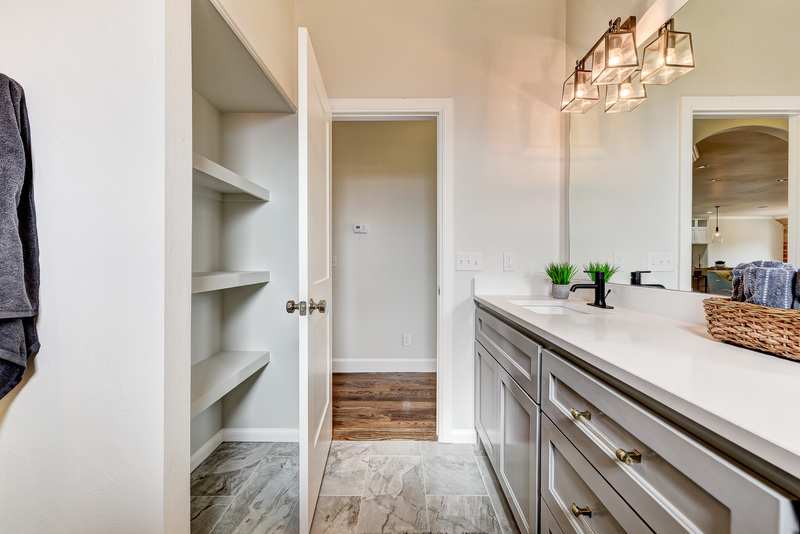 Undercabinet LED lighting will set the mood. 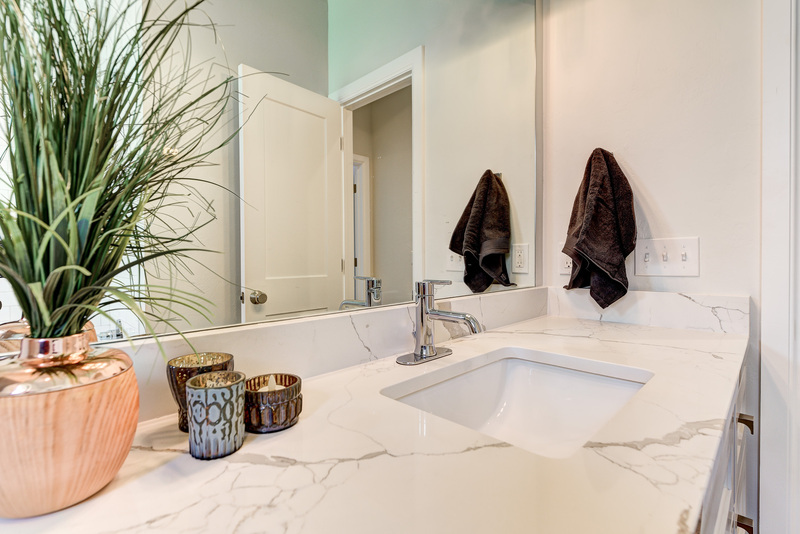 Blanco Silgranit sink, known for its durability, is located in the island. 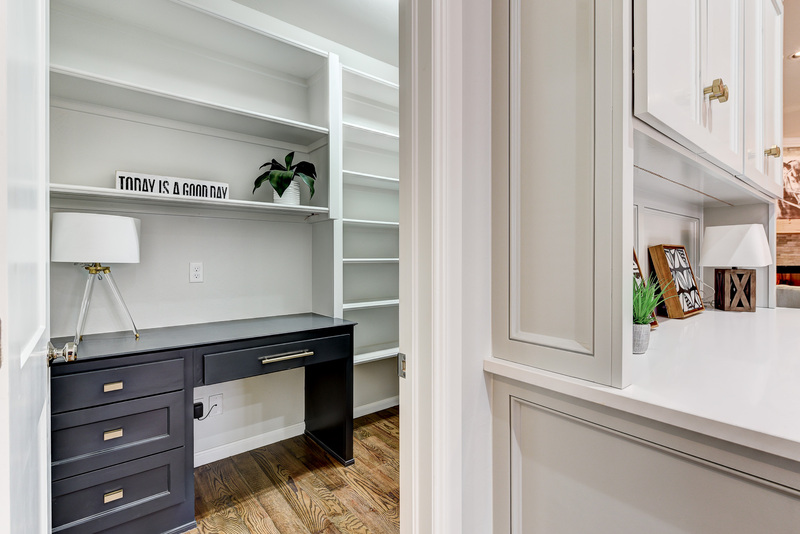 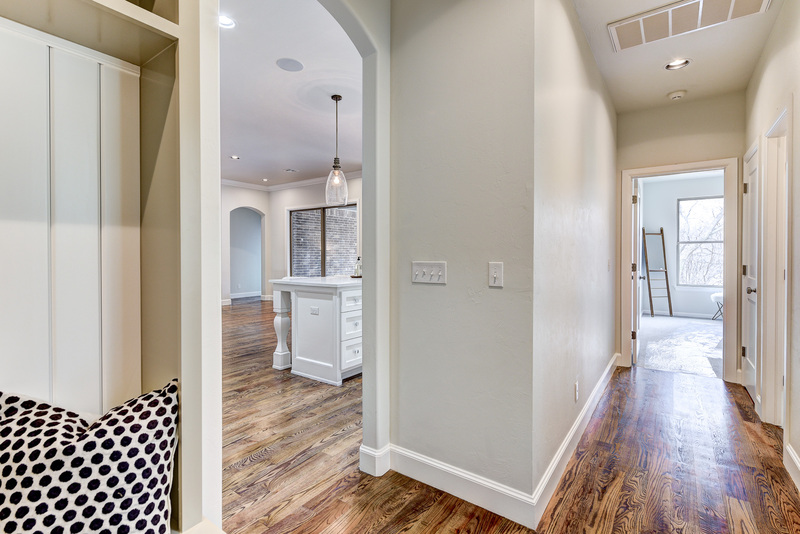 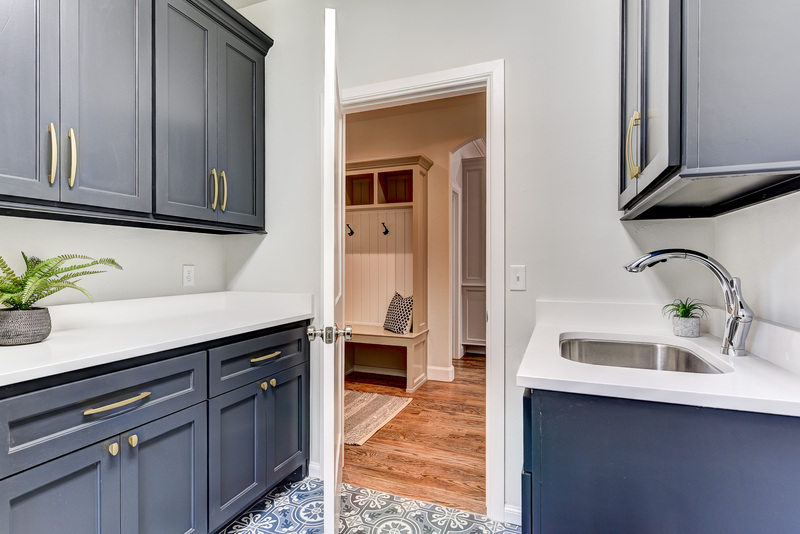 Huge walk-in pantry with built-in desk is a plus for those who like to stay organized. 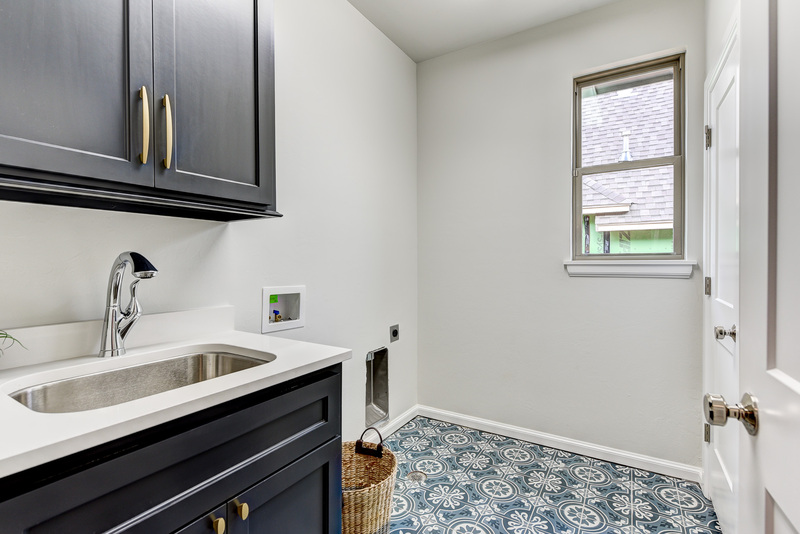 Custom tile in the bathrooms and utility room. 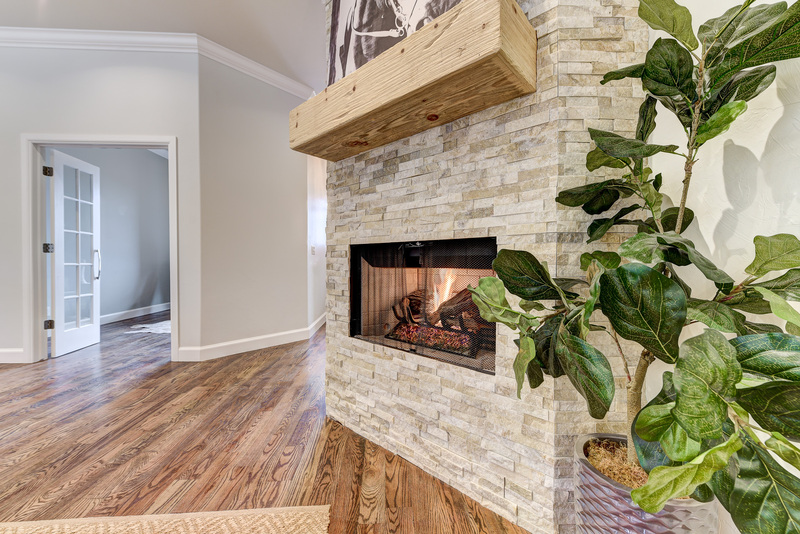 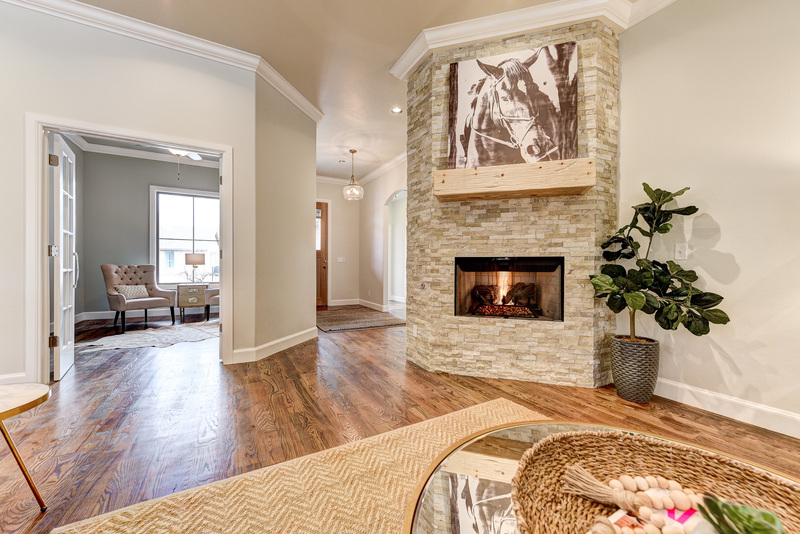 Ledgestone fireplace. 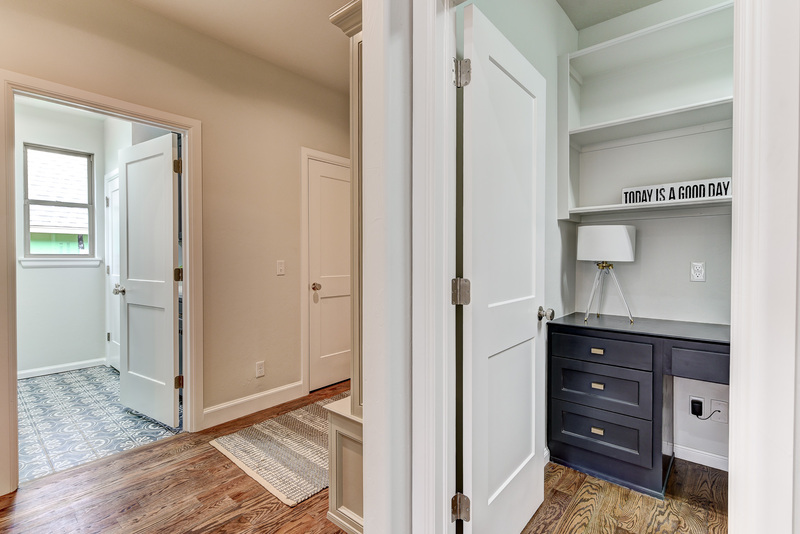 Study doors encased with glass to keep the open concept flowing. 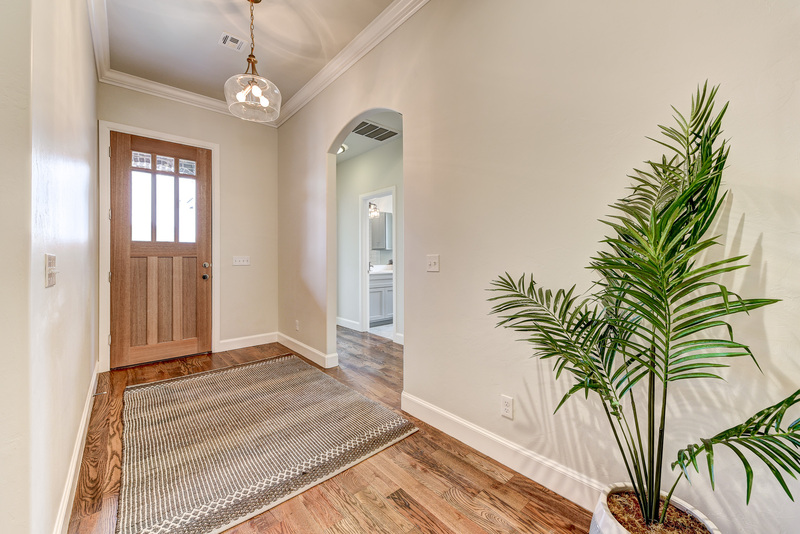 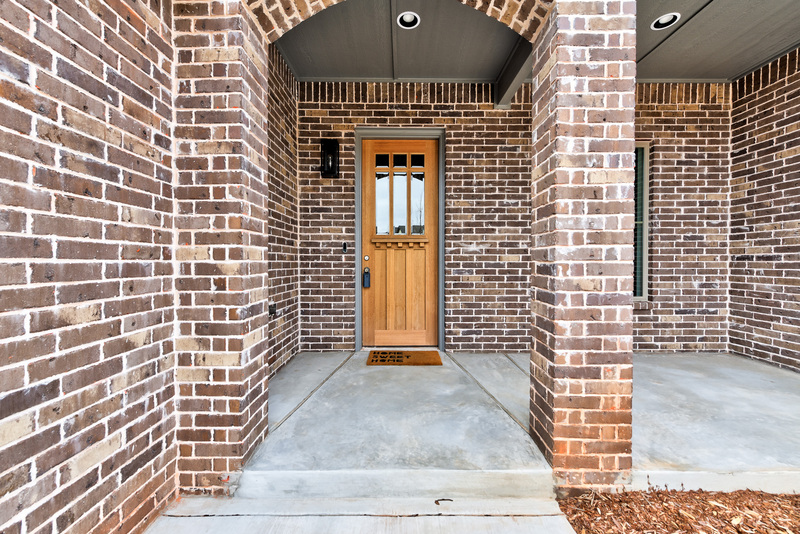 Front entry is large and inviting. 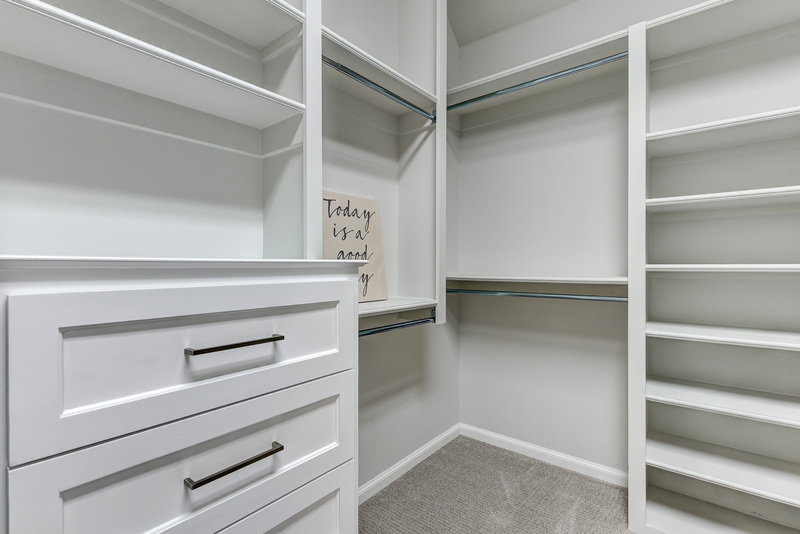 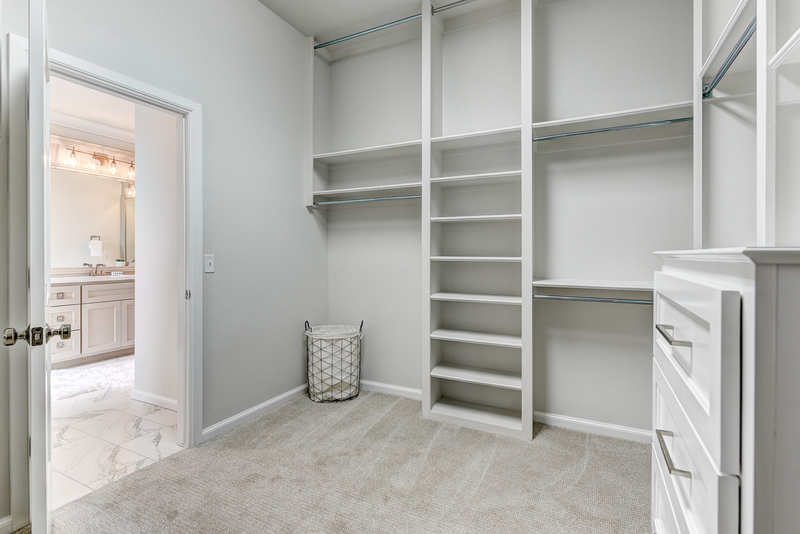 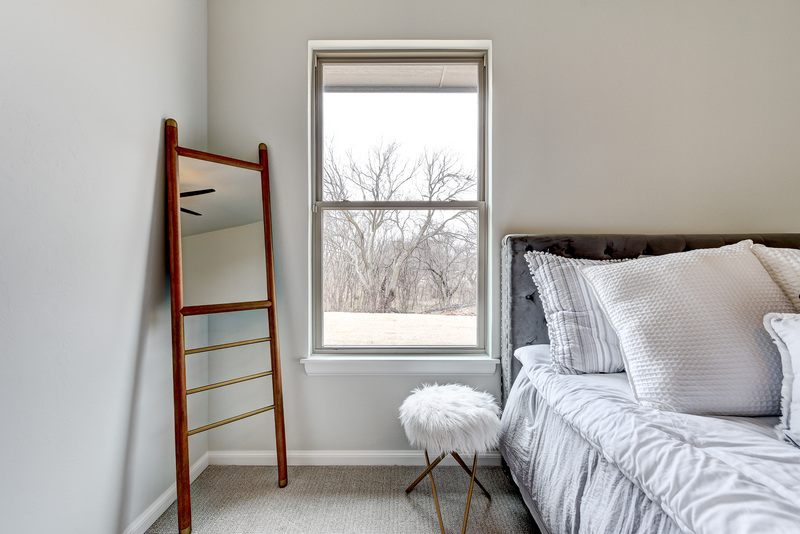 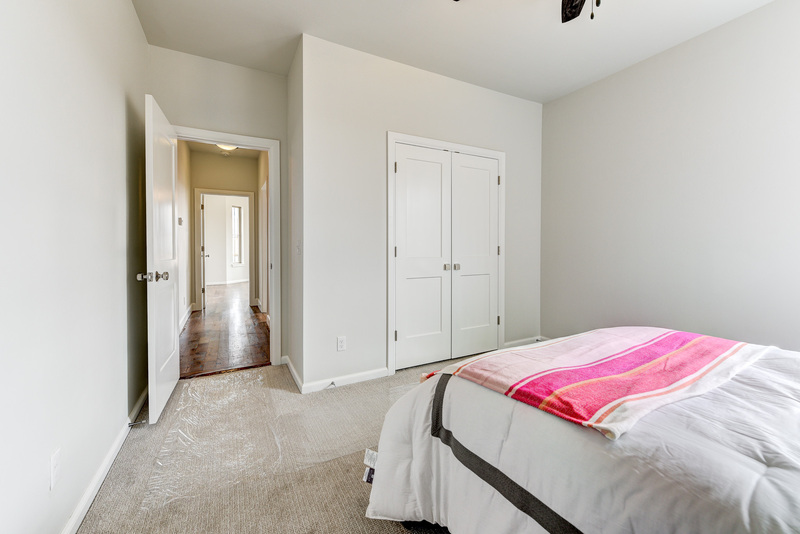 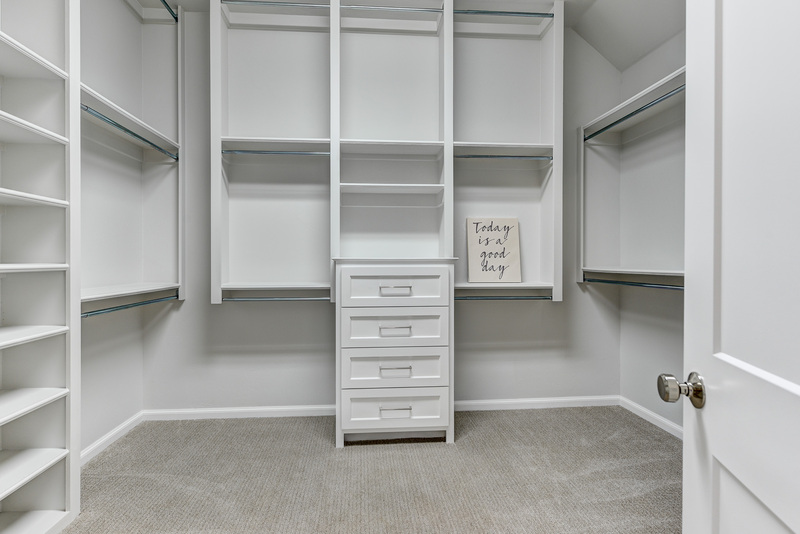 Spacious walk-in master closet with built-in drawers and mirror are a dream for the clothes horse. 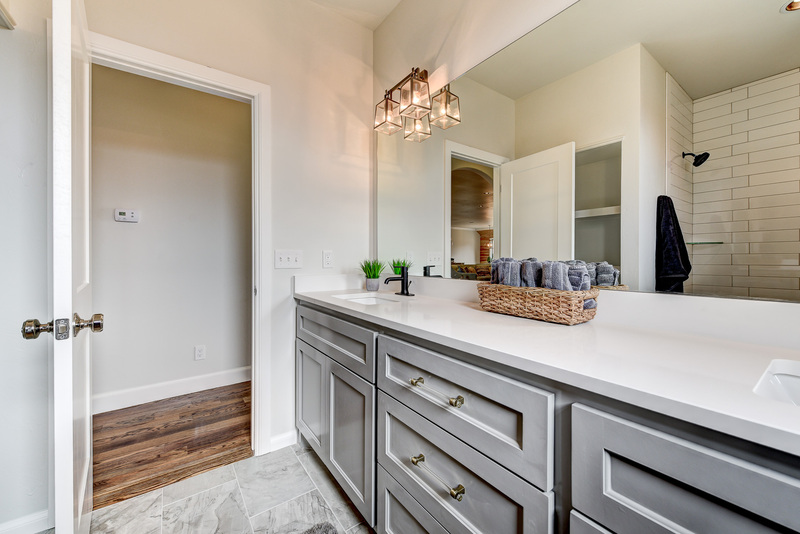 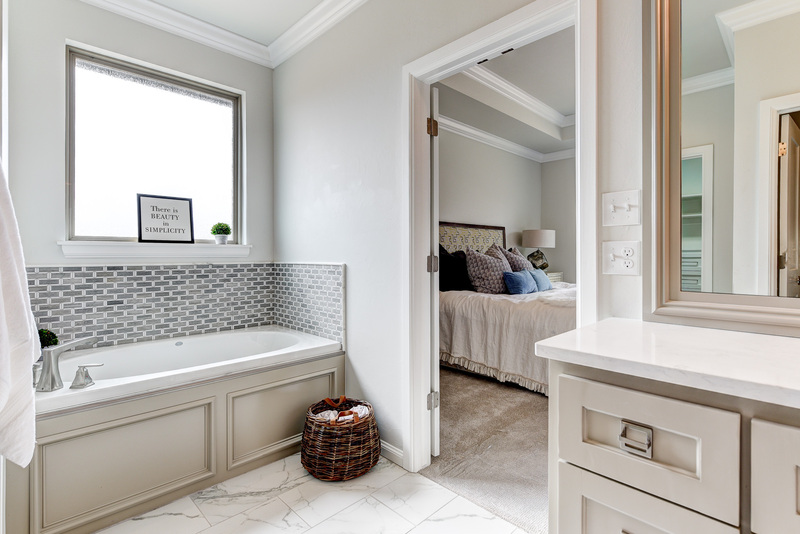 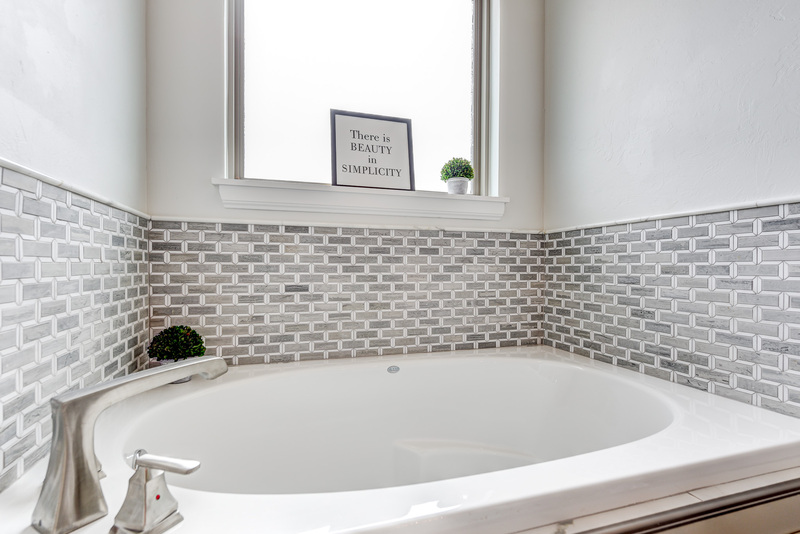 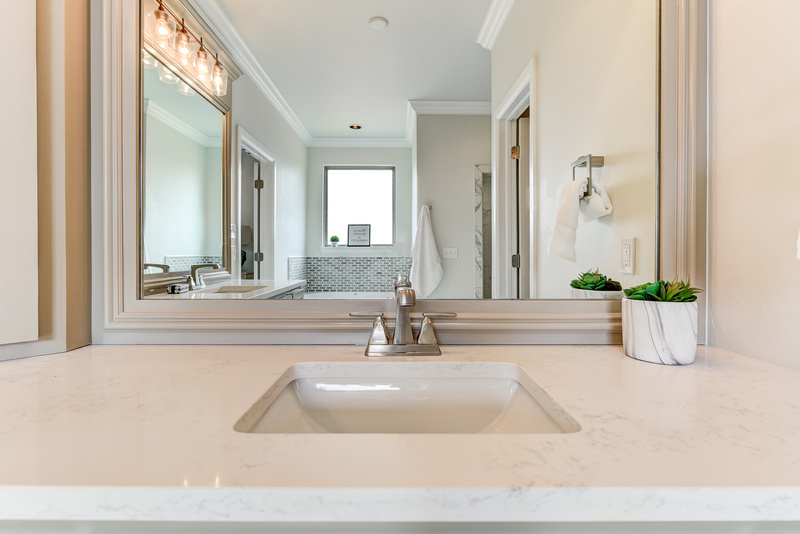 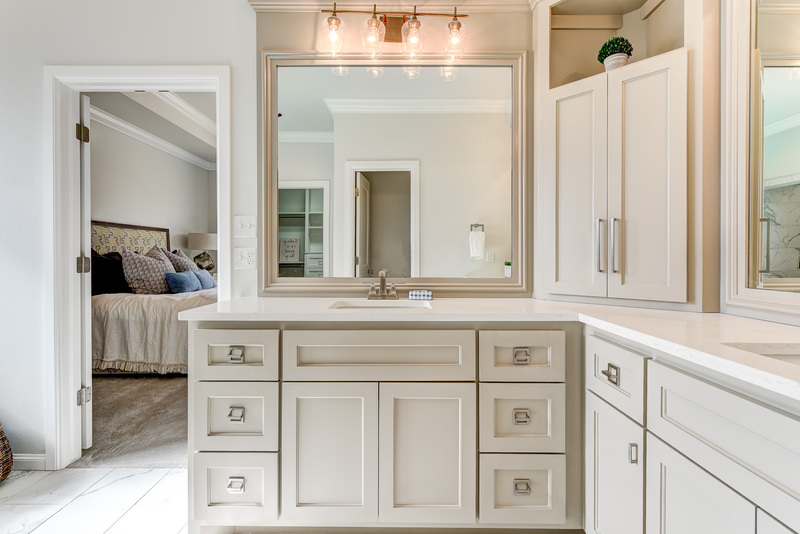 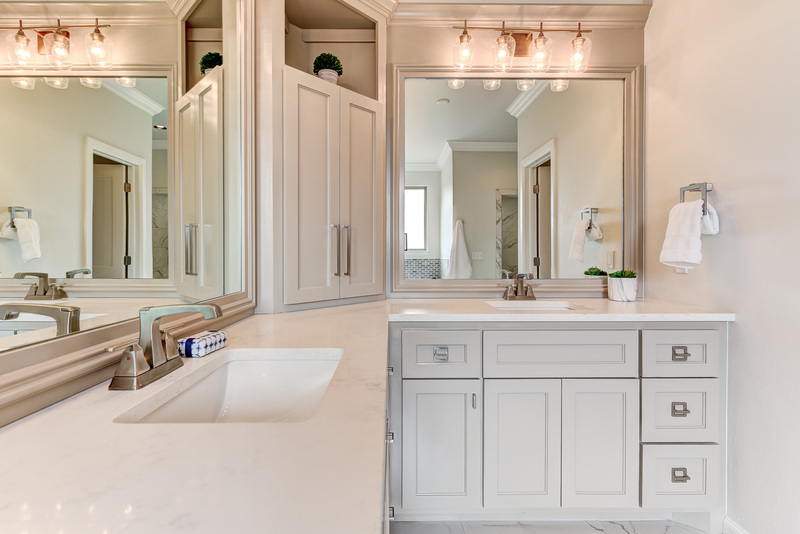 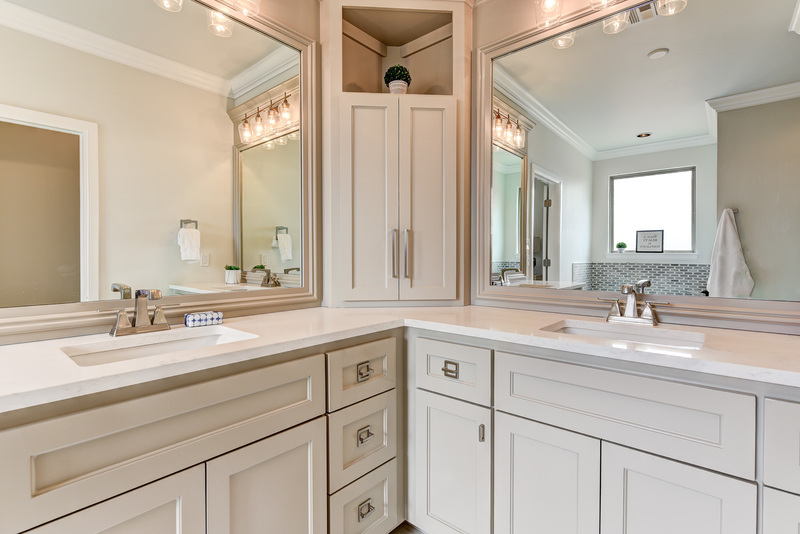 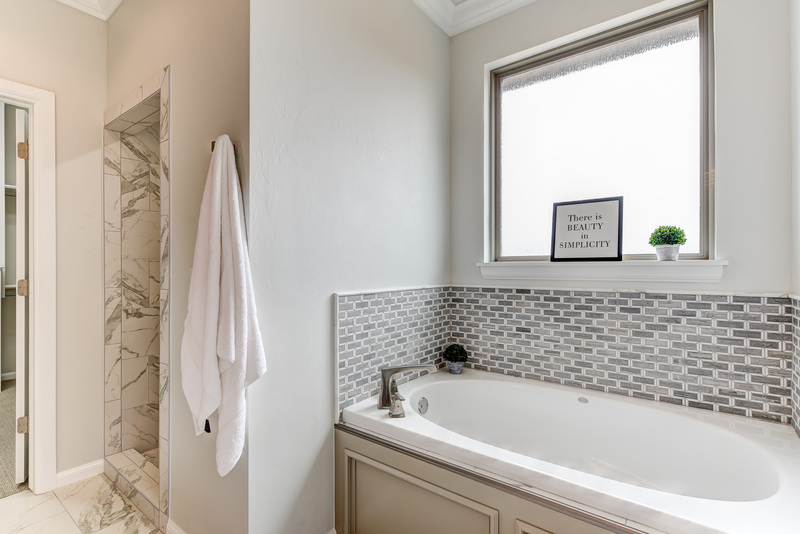 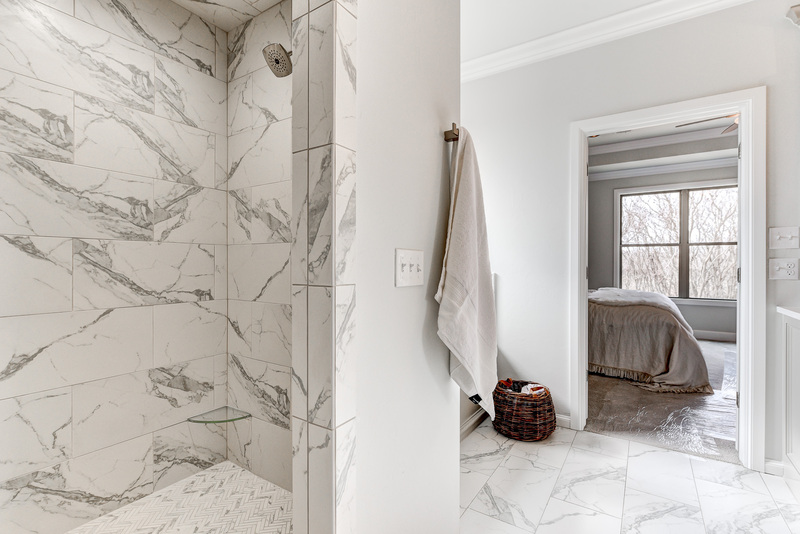 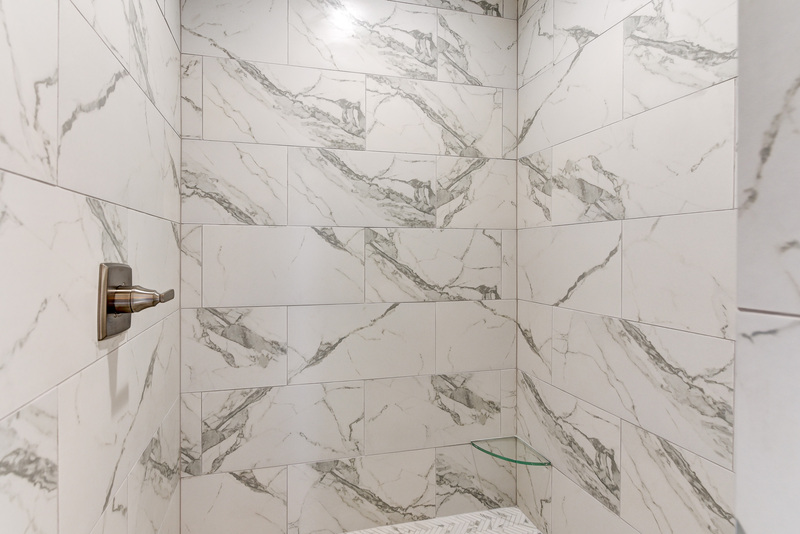 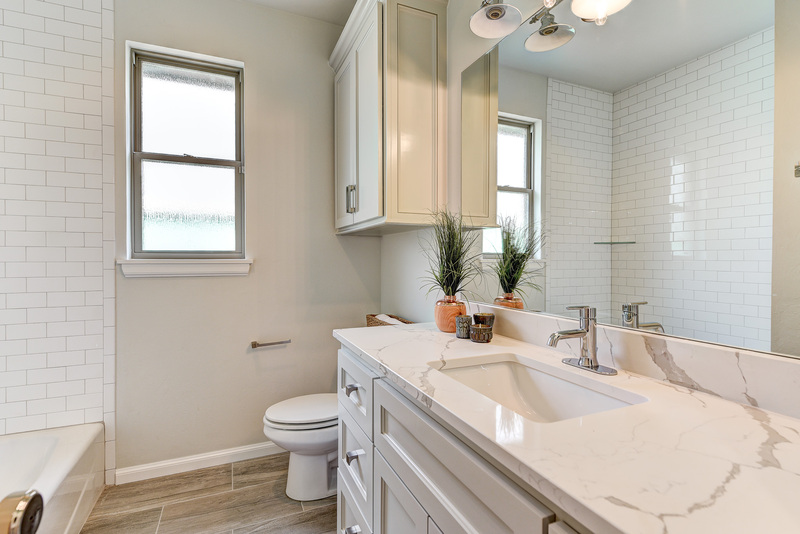 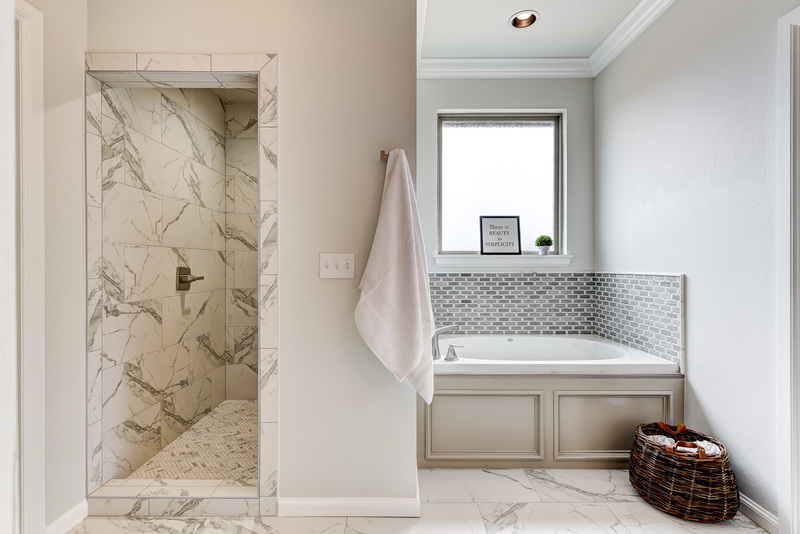 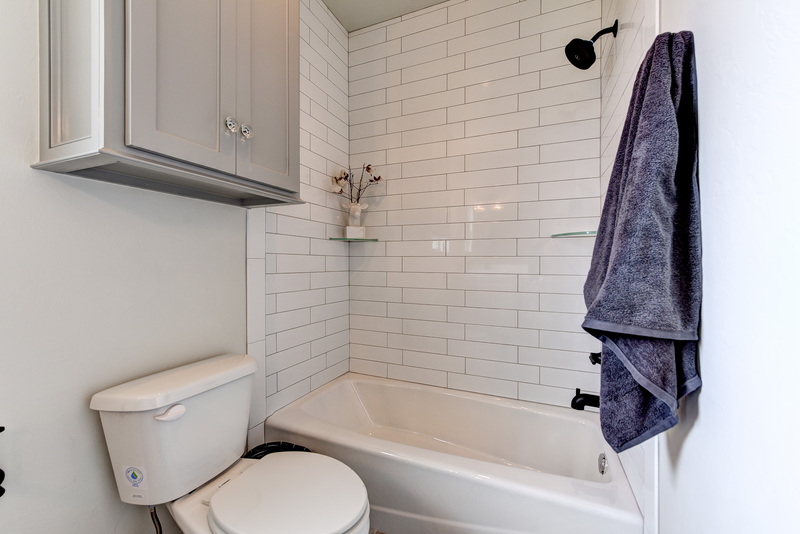 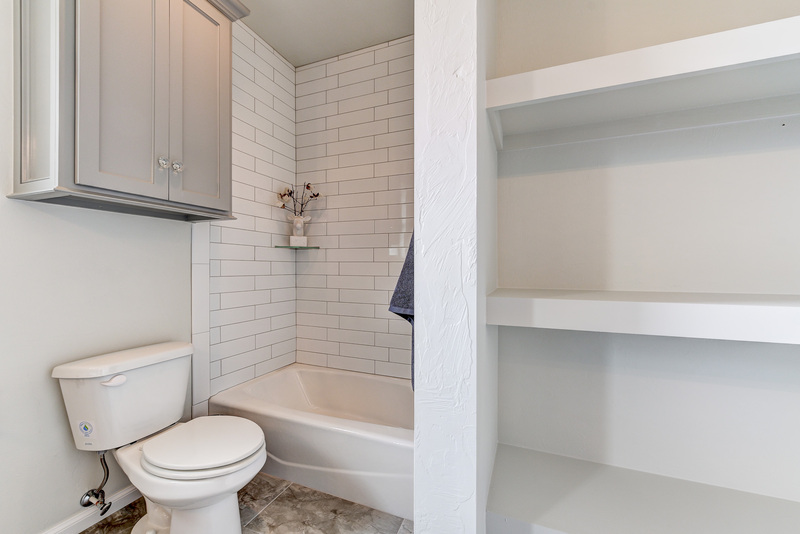 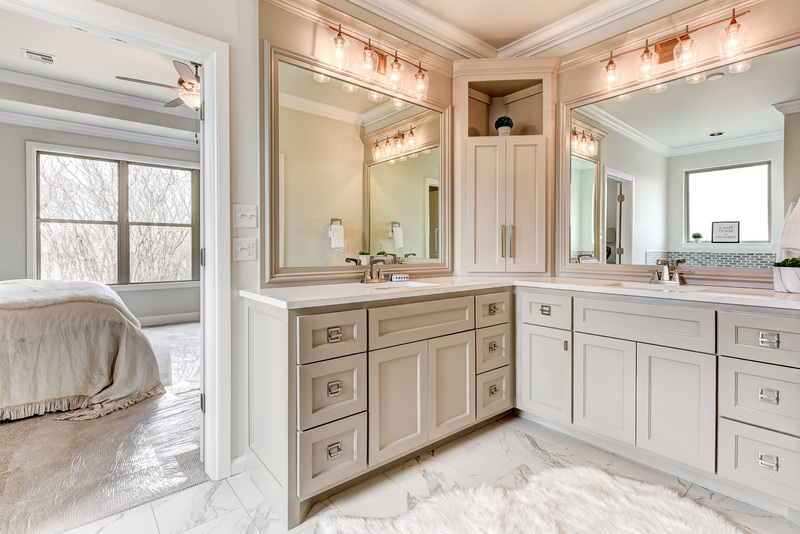 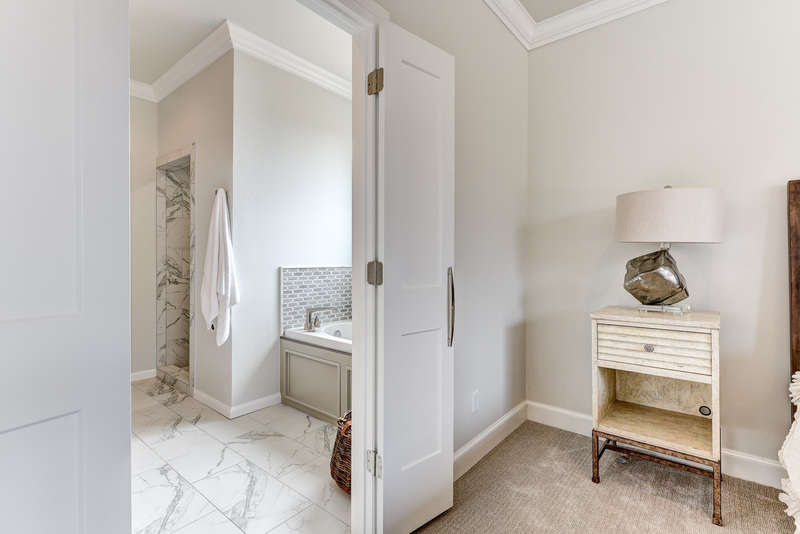 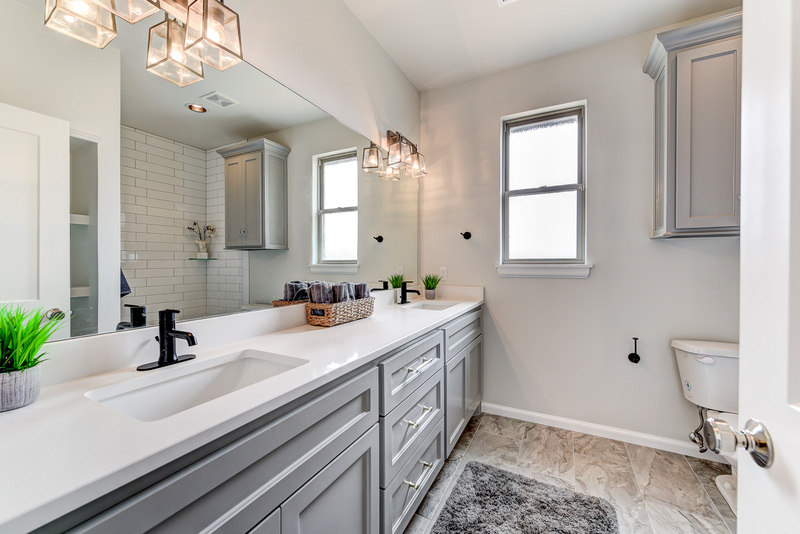 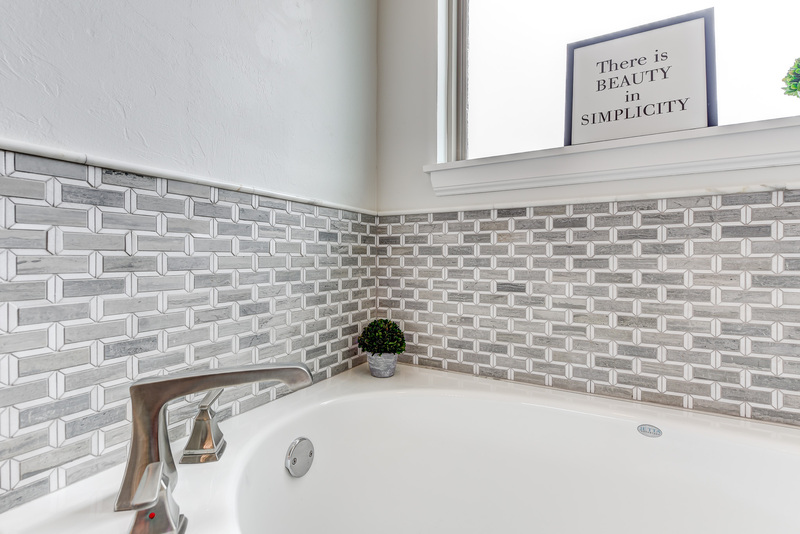 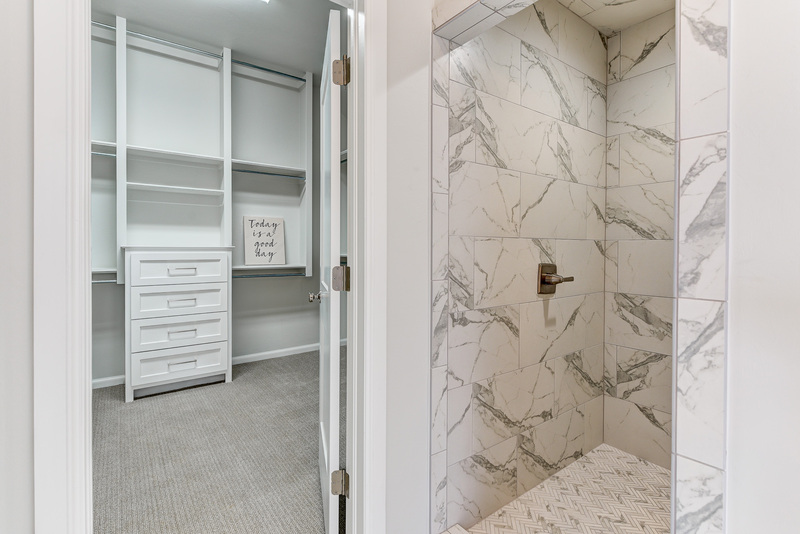 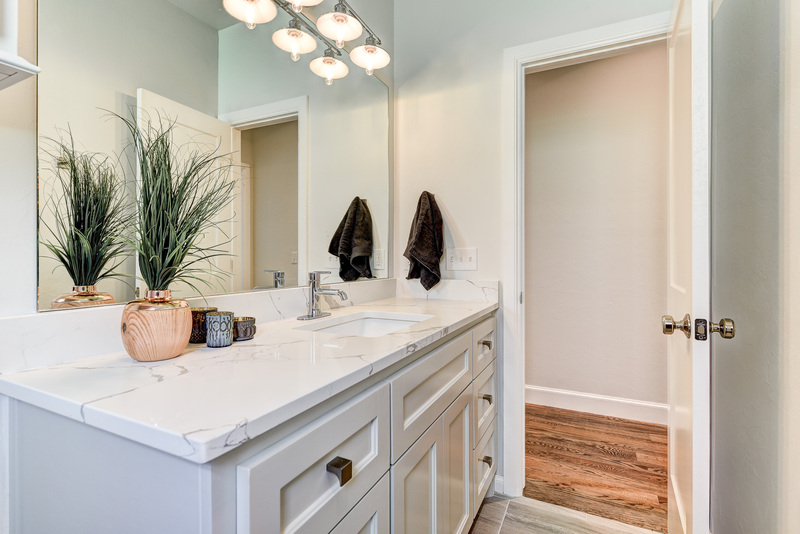 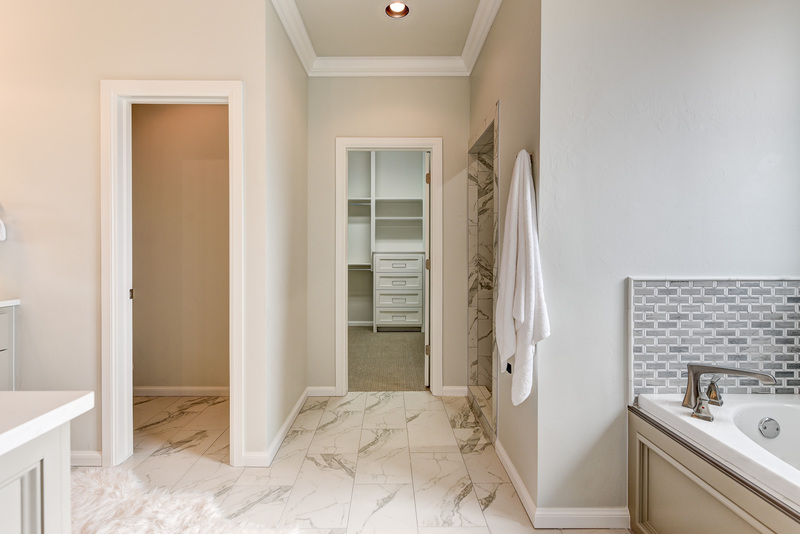 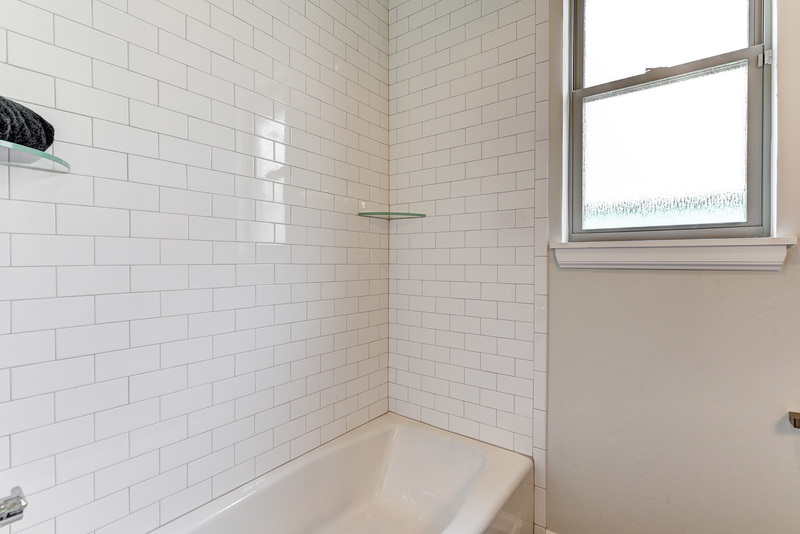 Walk-in shower, his and her sinks, and tub are a bonus in the master bathroom. 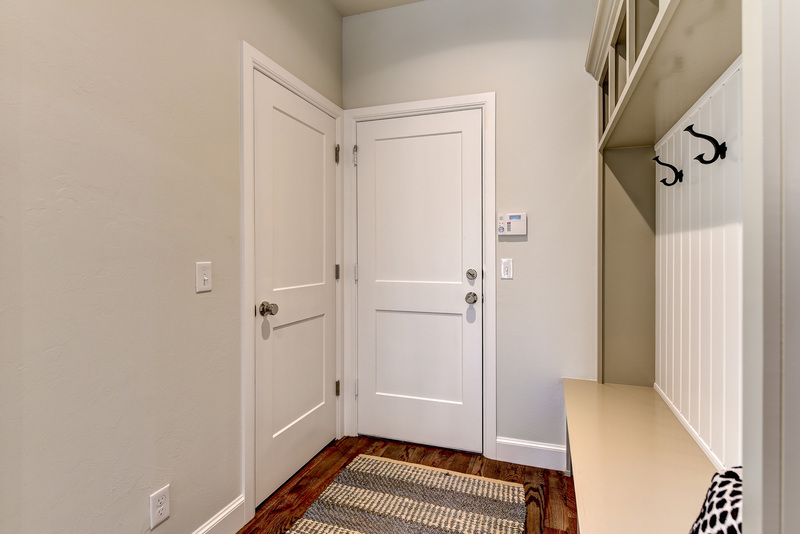 Nest Video Doorbell enables you to see who is at your door from your cell phone when if you are away from home or inside the house. 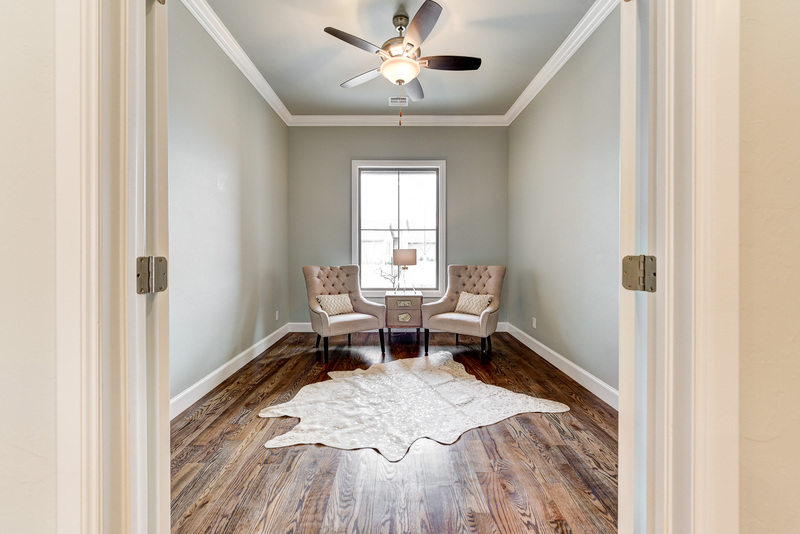 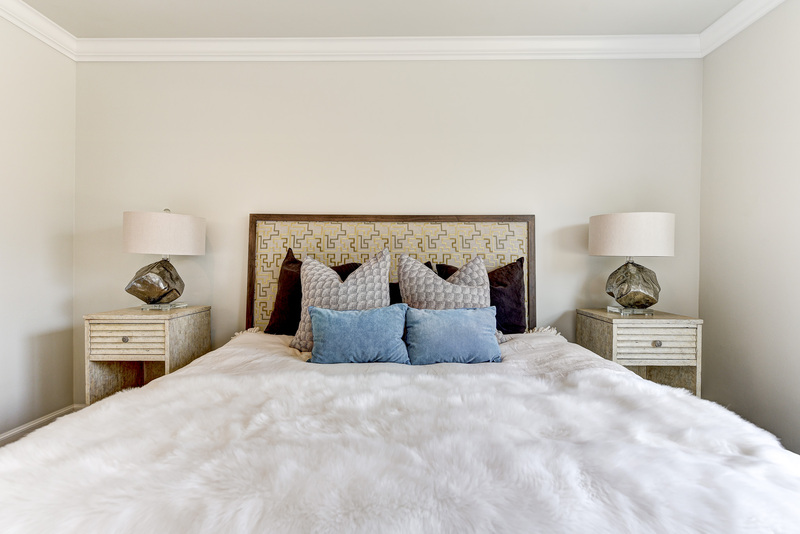 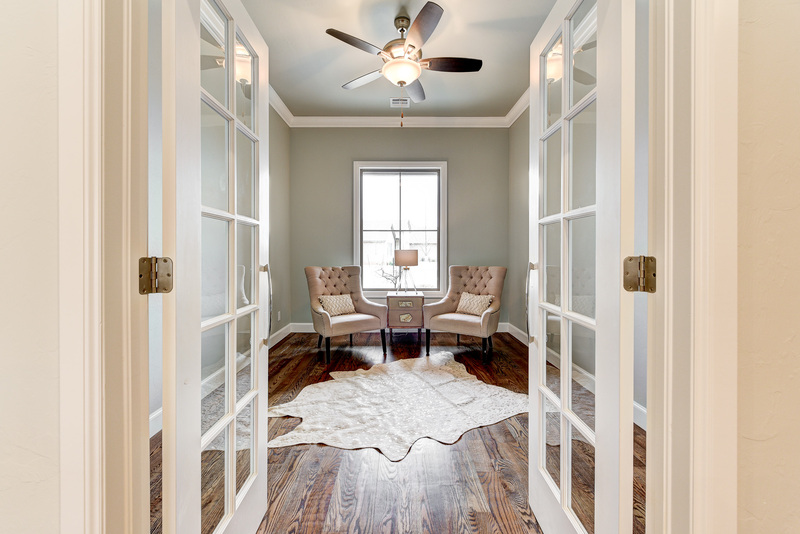 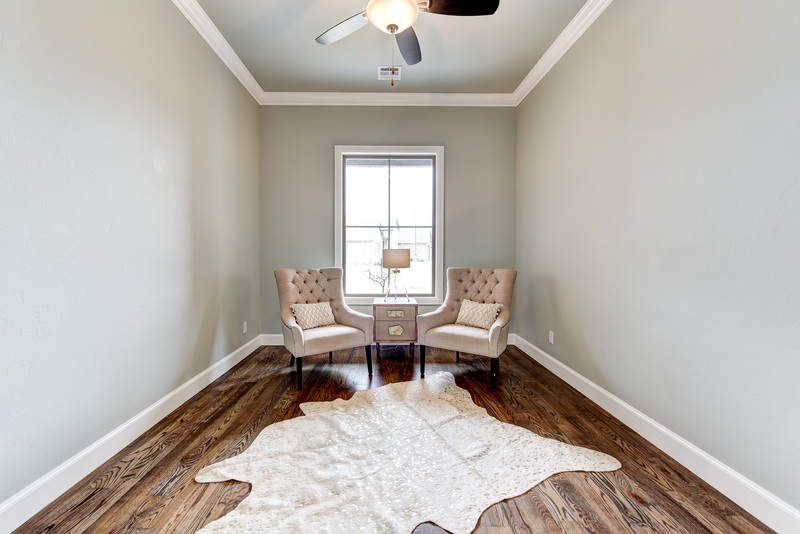 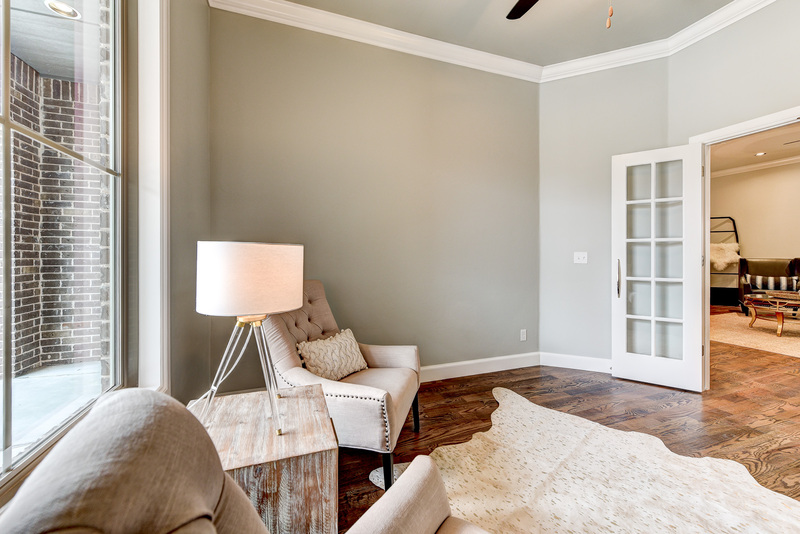 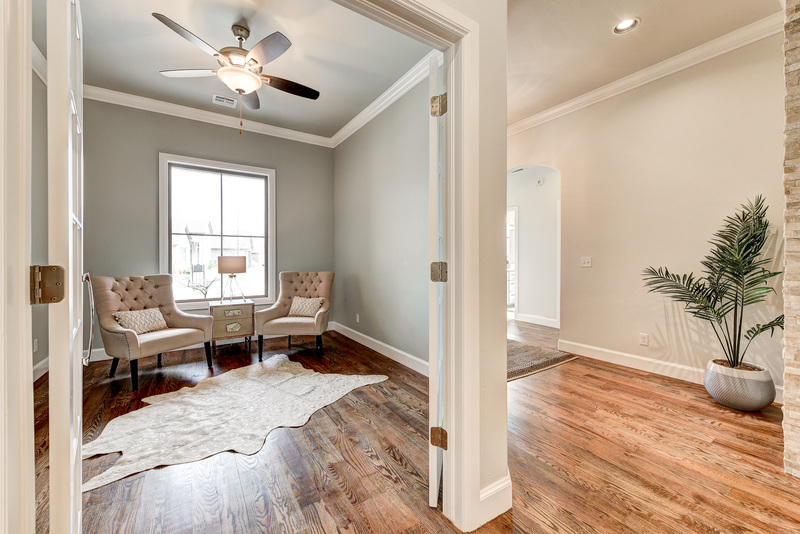 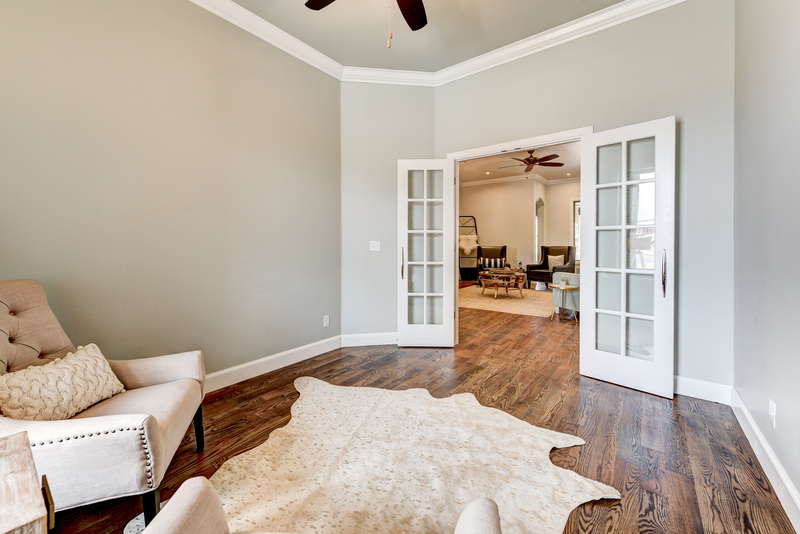 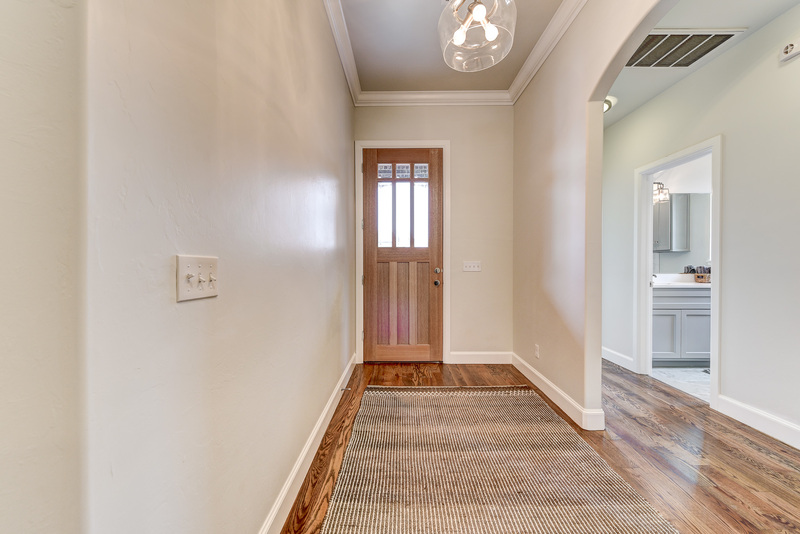 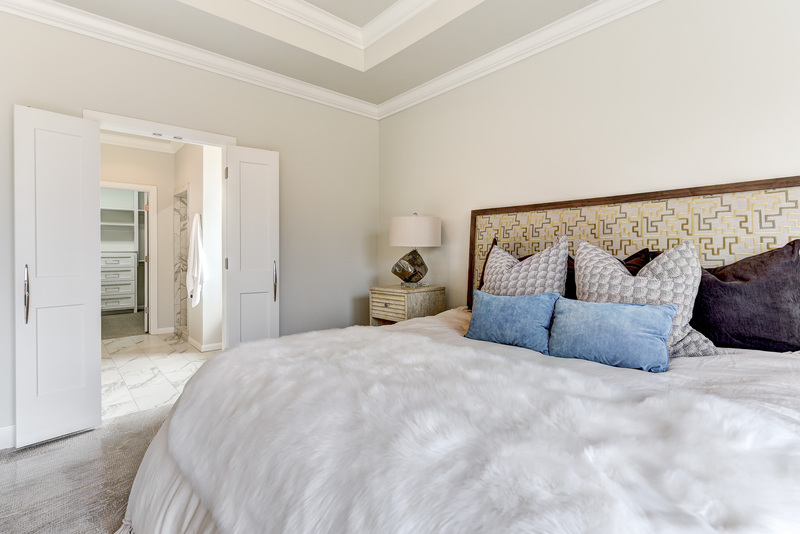 Quality construction, attention to detail, style, character, finishes and white trim. 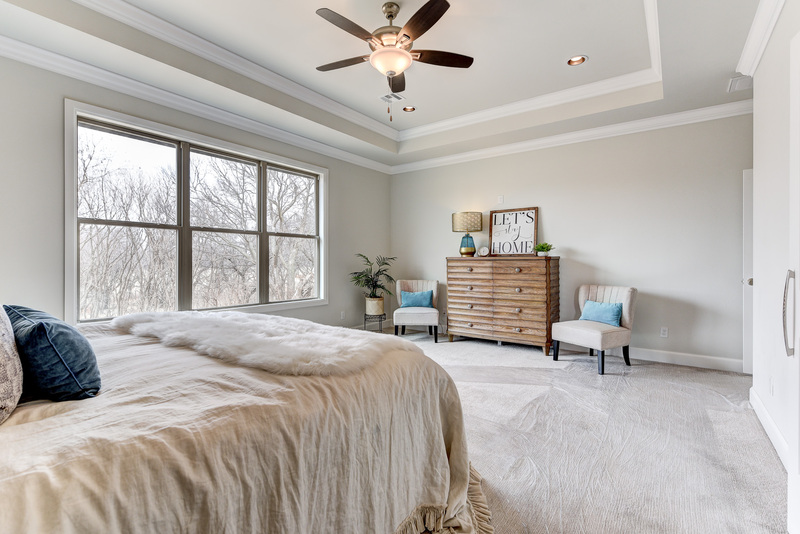 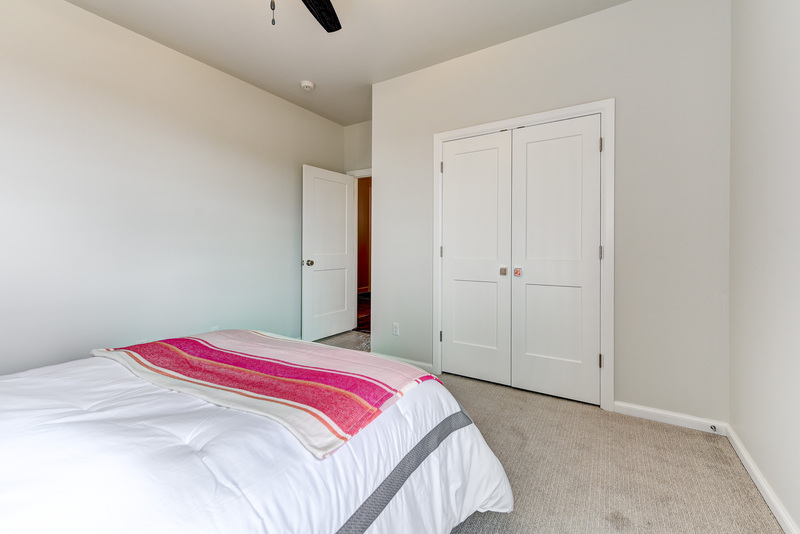 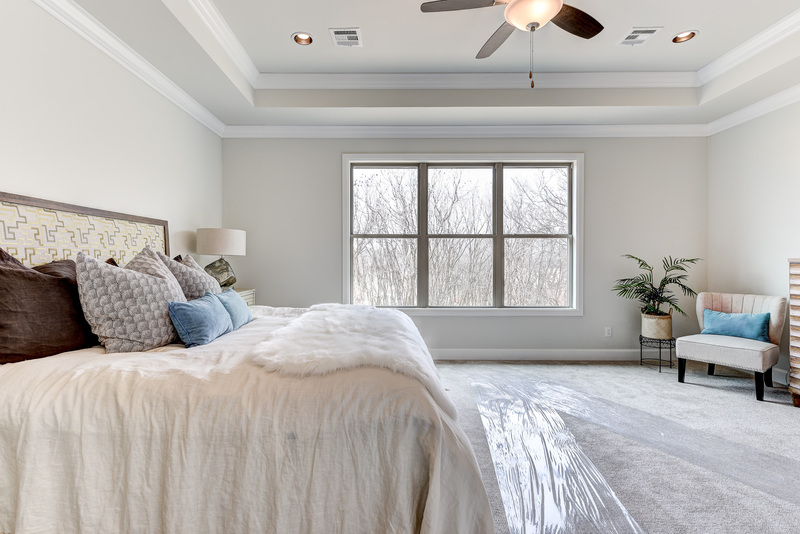 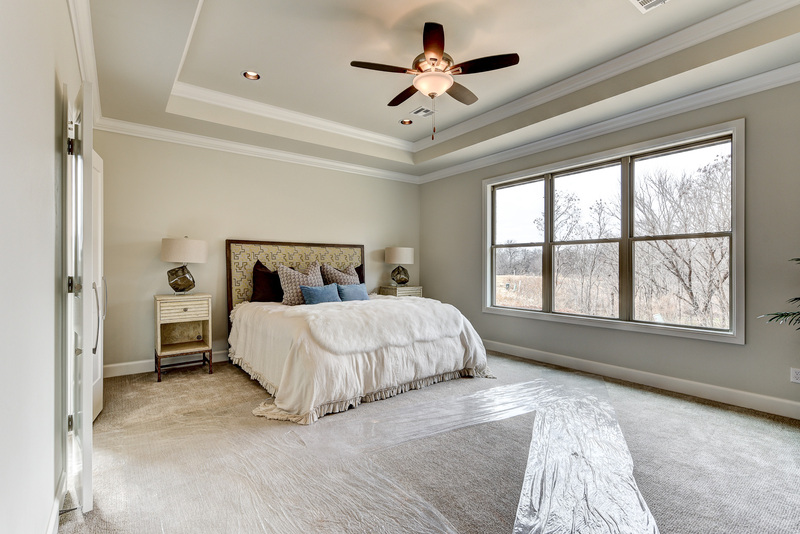 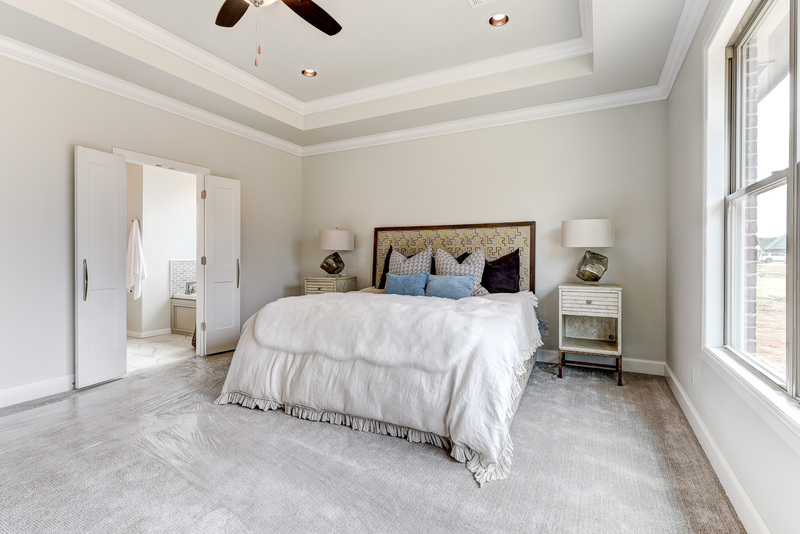 Full security alarm system, high-efficiency HVAC equipment, and radiant barrier roof deck will keep the attic cooled off. 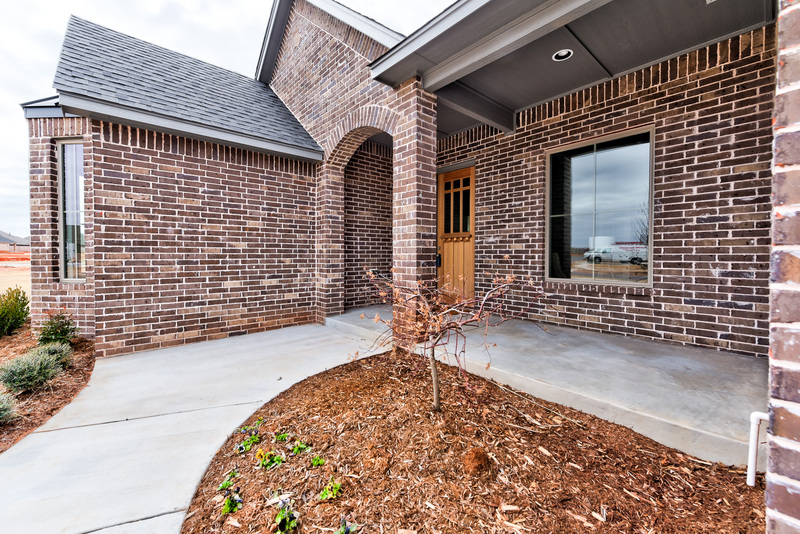 The yard will be fully sodded, professionally landscaped and irrigated, with accent lighting. 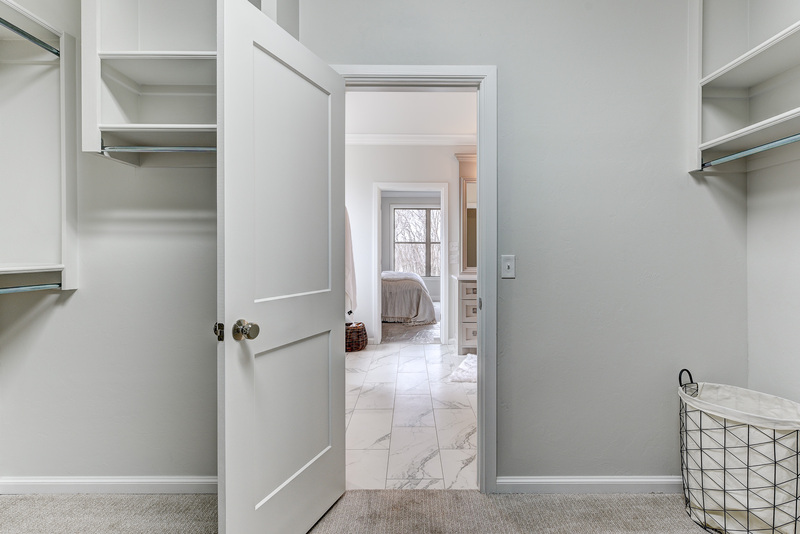 Private staircase from the garage to the attic. 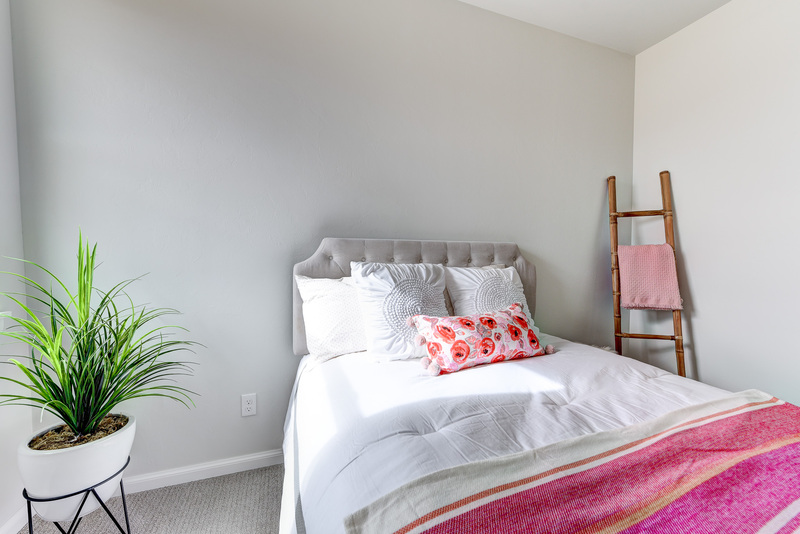 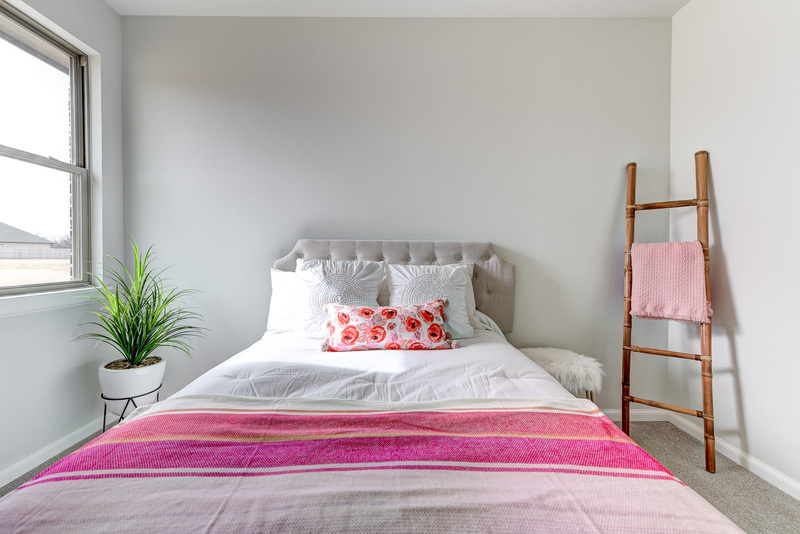 No pull-down wooden ladders. 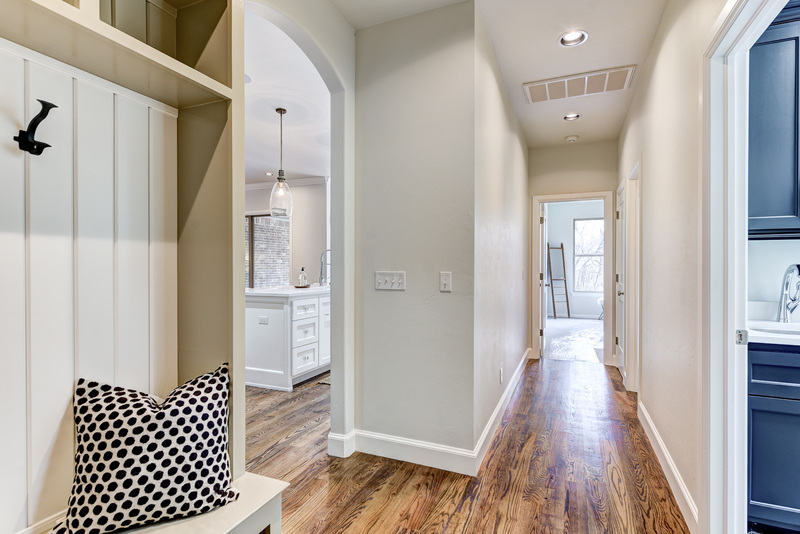 The quality and attention to detail are beyond compare. 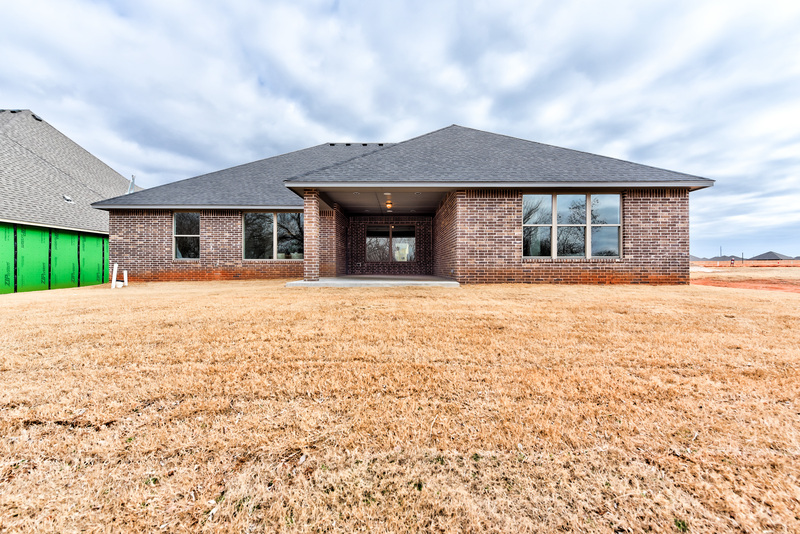 Deer Creek school and close to highway access. 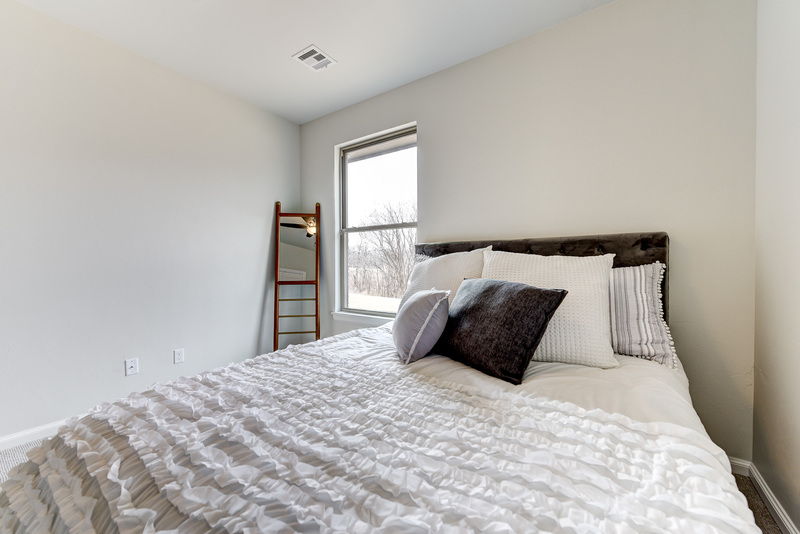 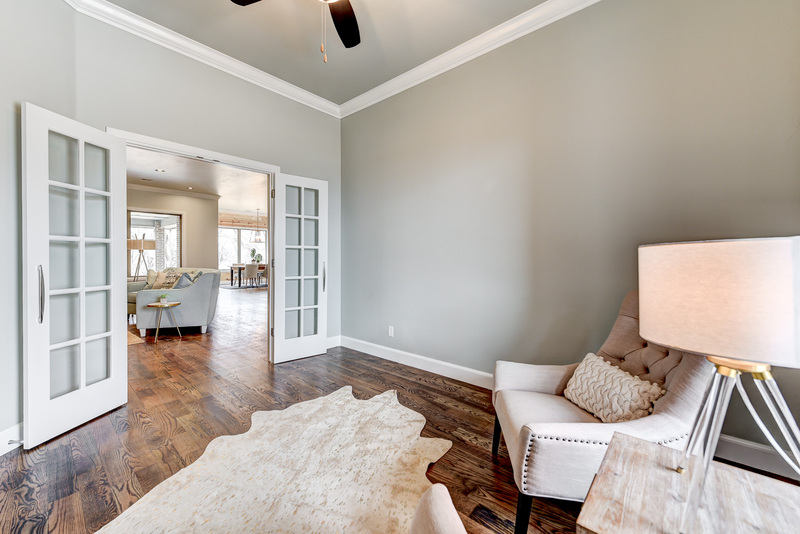 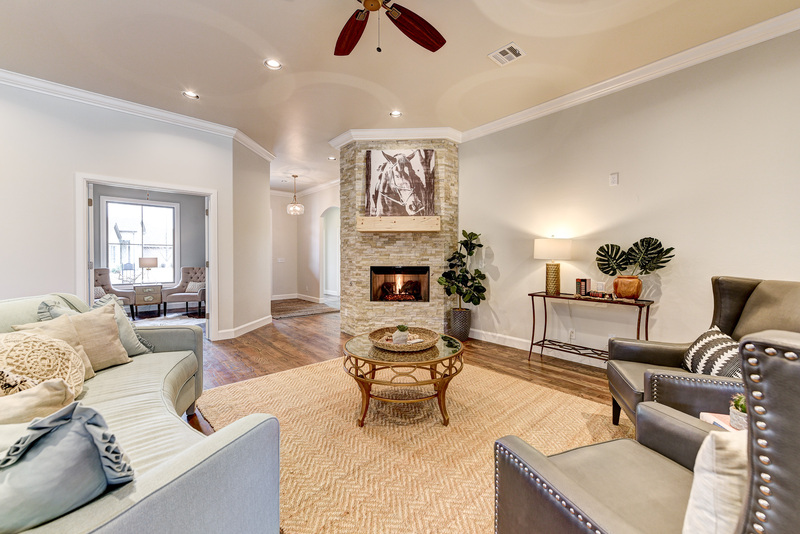 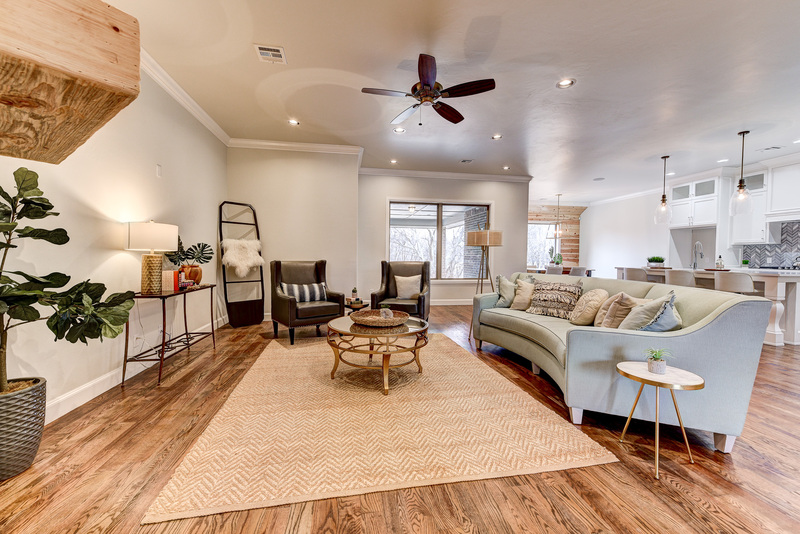 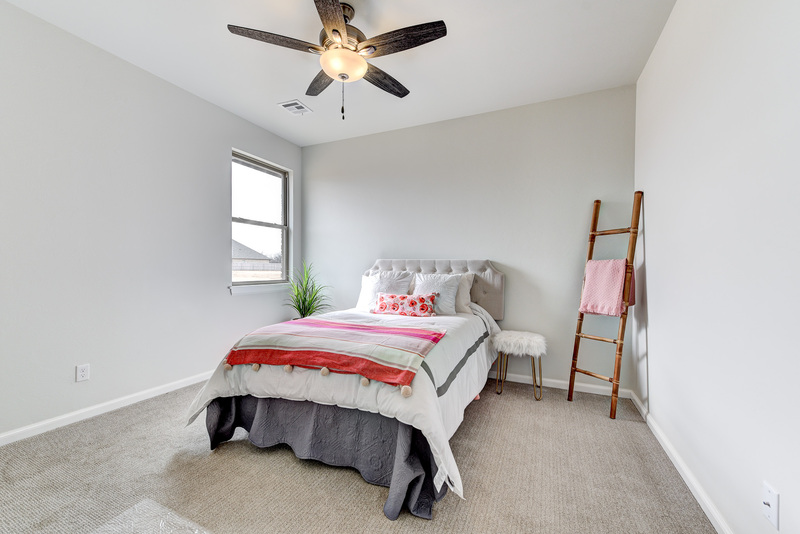 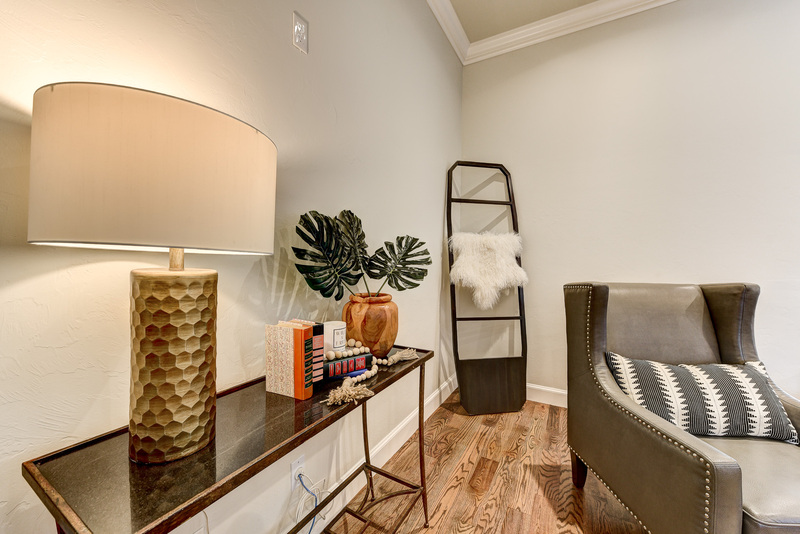 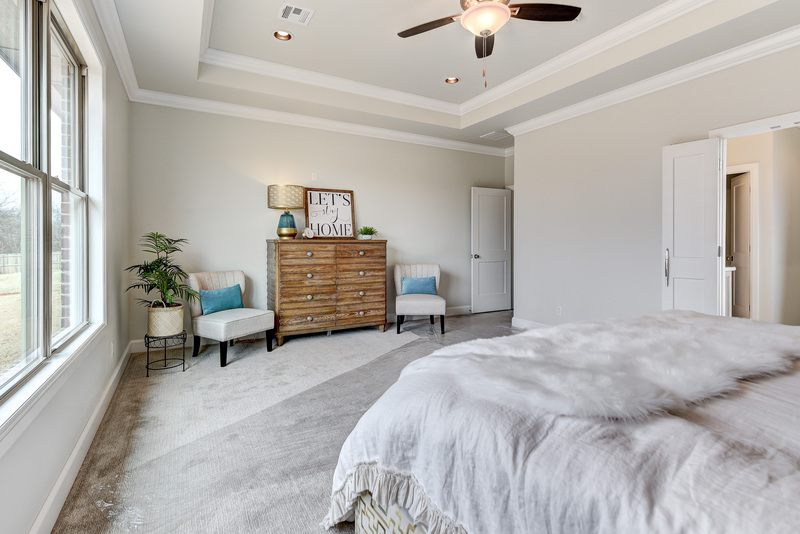 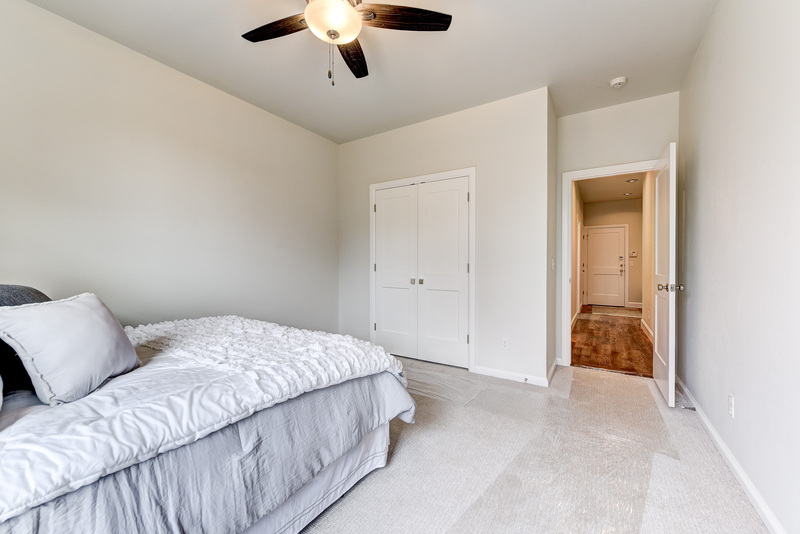 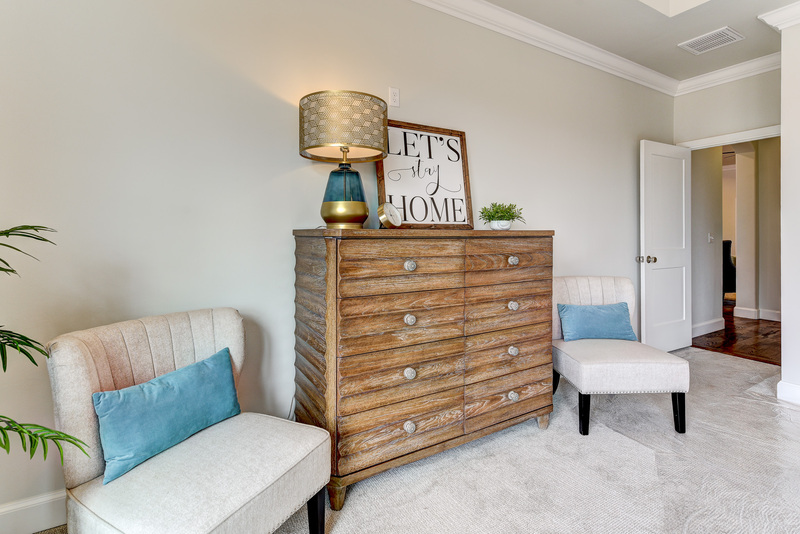 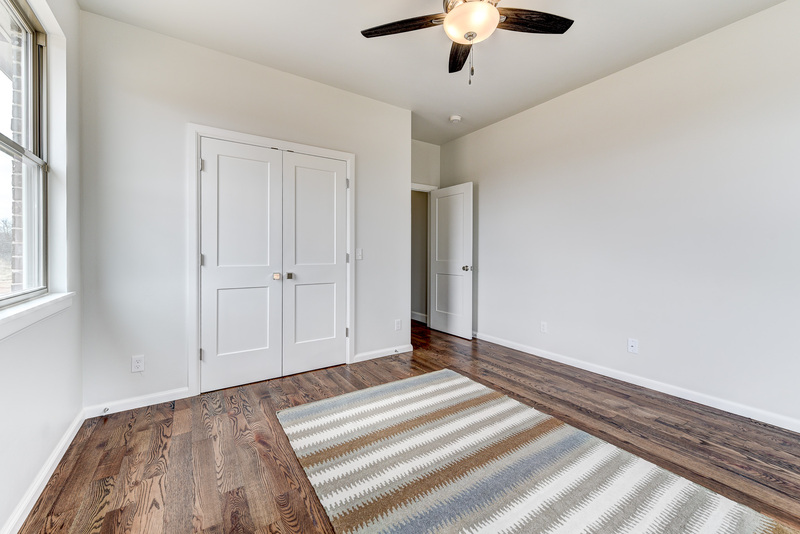 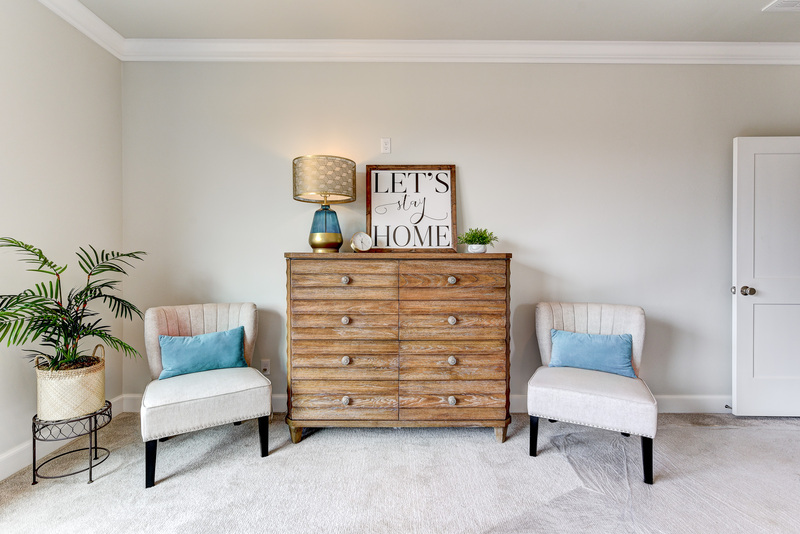 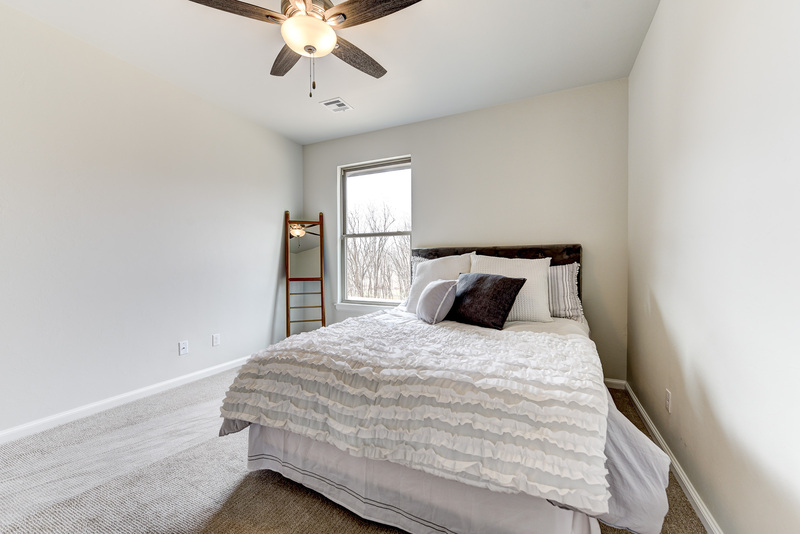 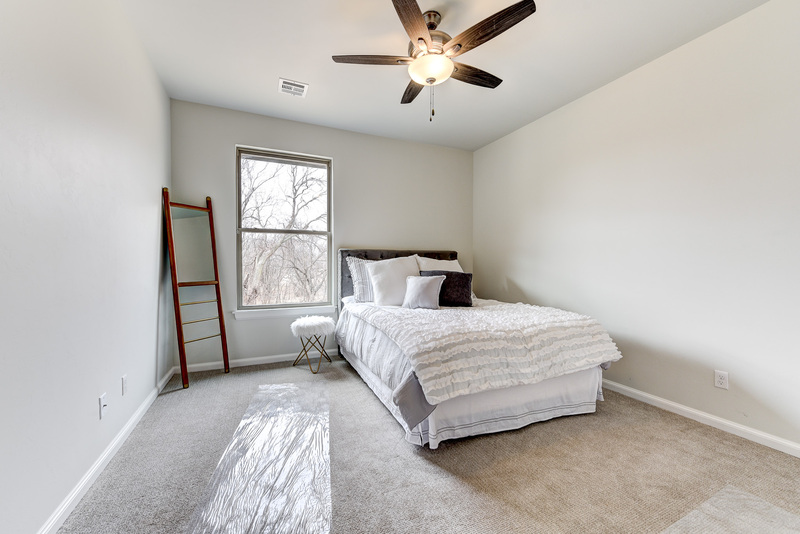 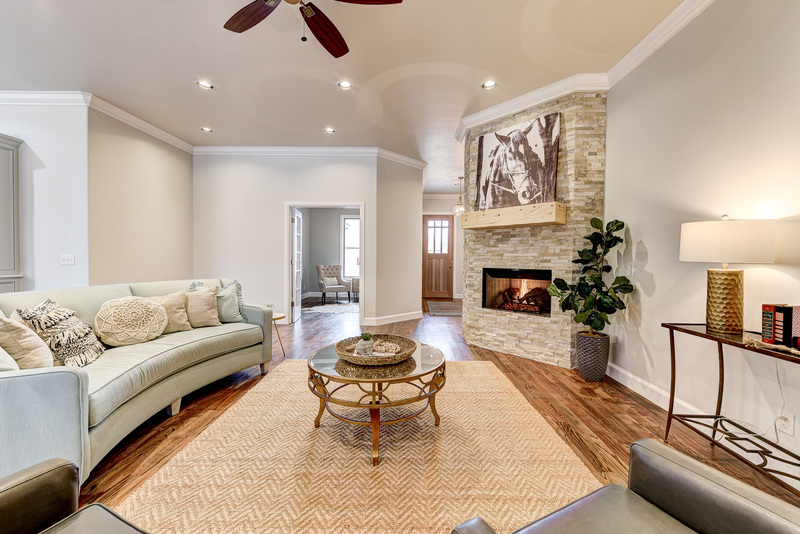 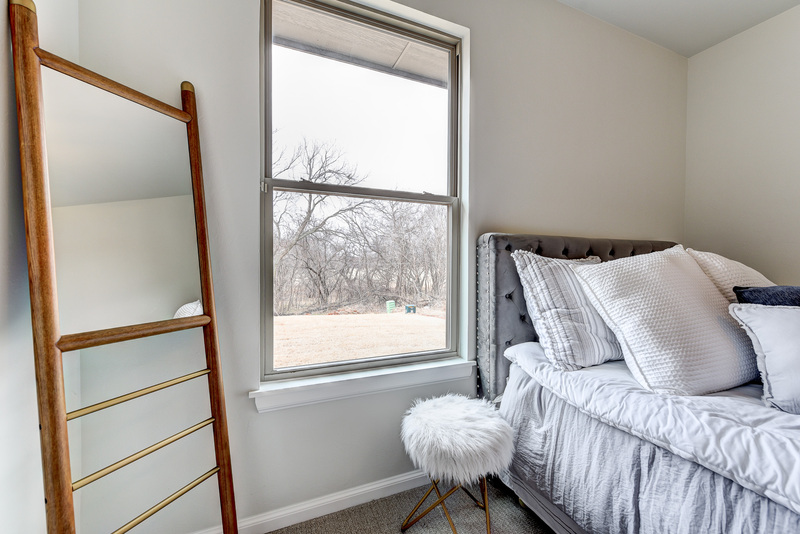 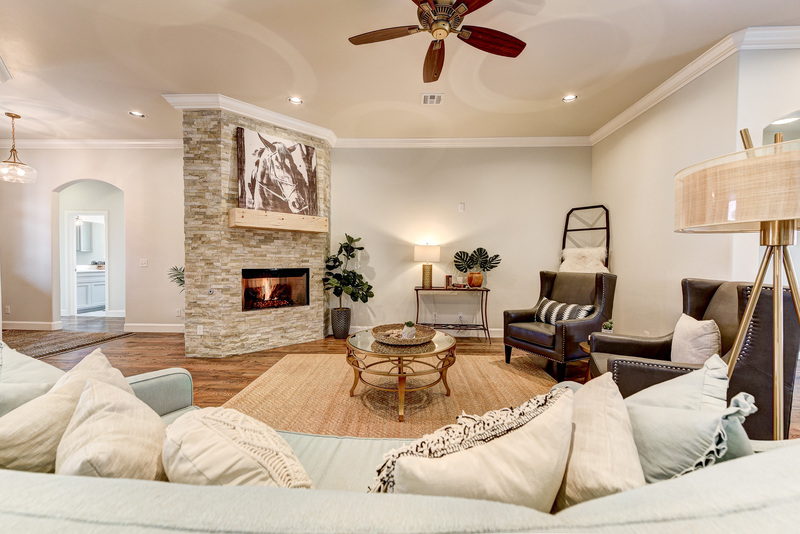 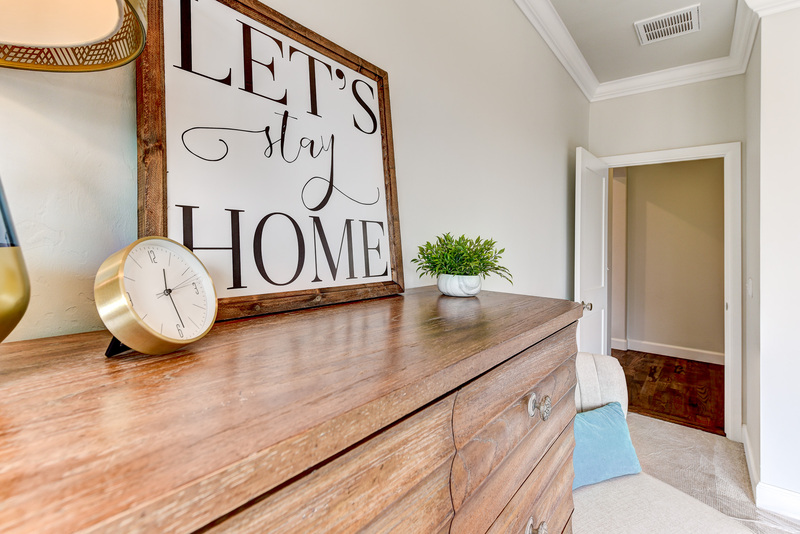 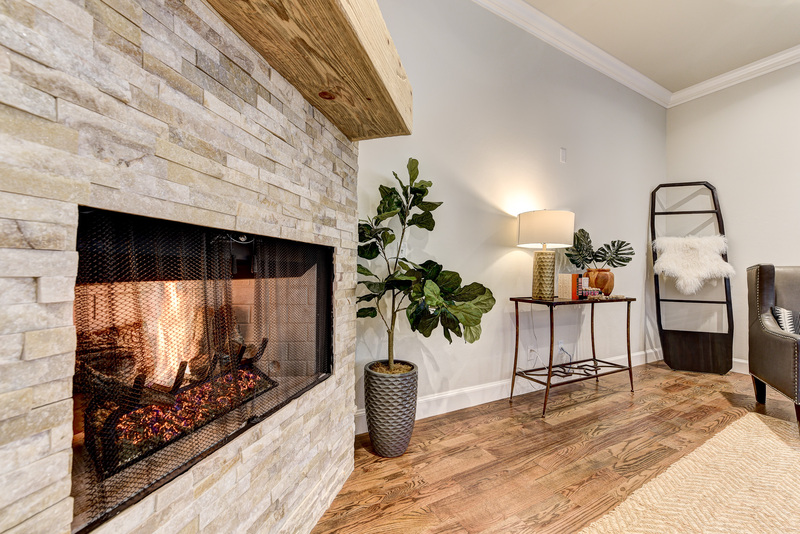 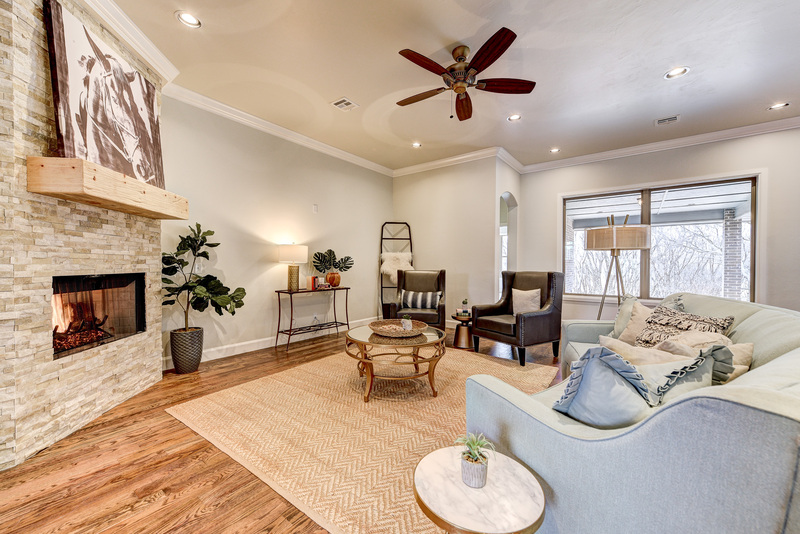 Easy access to Hefner Parkway and the Kilpatrick Turnpike. 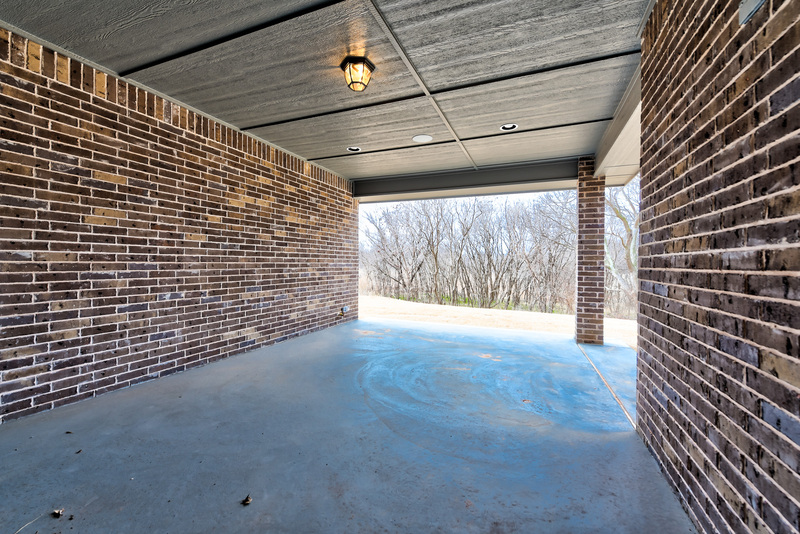 Close to Mercy Hospital, numerous restaurants, shopping and Quail Springs Mall.